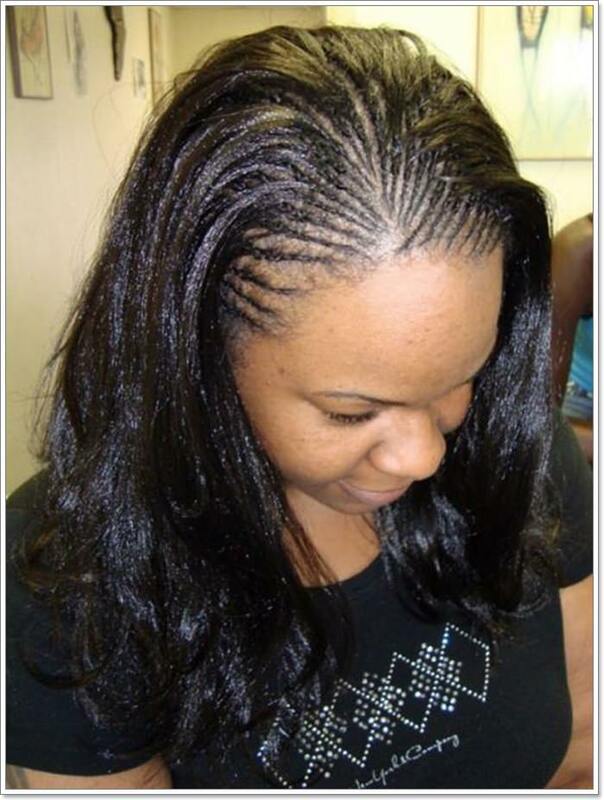 Micro braids are very delicate and small braids. The braiding style involves fixing the braids tightly to the scalp in a way that makes them stay for long and difficult to remove. 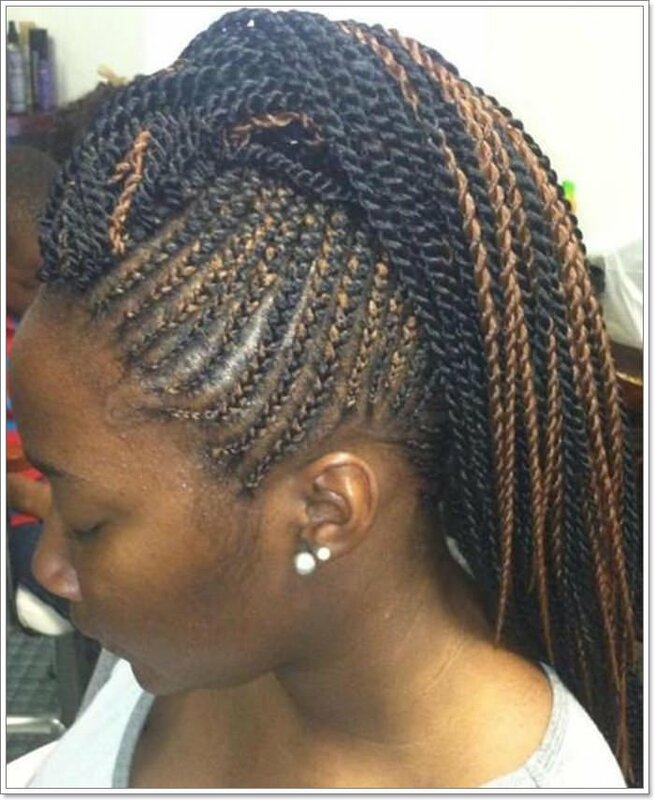 This type of braiding is very common with African Americans however it’s a style that anyone can enjoy trying out. Micro braiding is a modern way of styling the hair that does not only look sleek but can also stay intact for quite a long period of time. 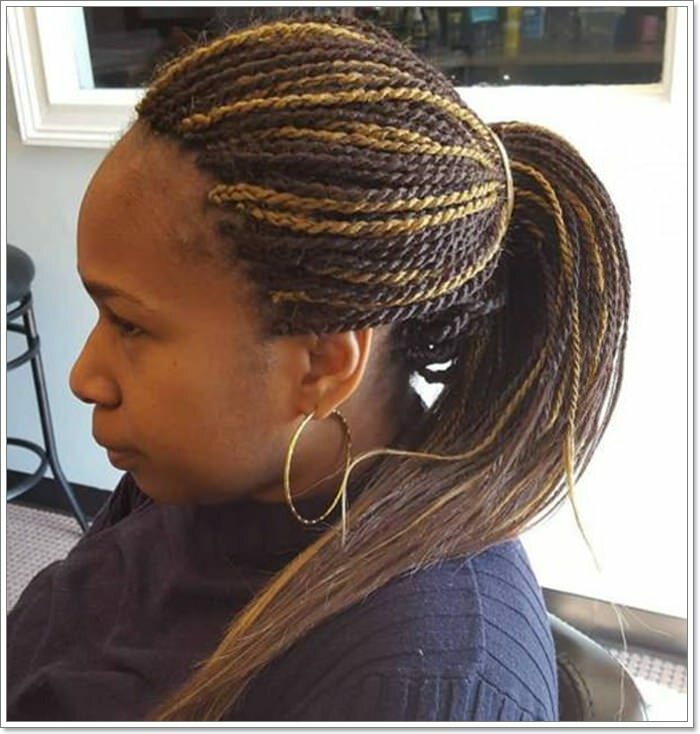 If you are looking for a hairstyle that can stay for a long period of time without getting spoilt then consider going for the micro braids. There are diverse ways that can be used to style the hair once the braids are fixed. Depending on the facial structure and the braiding style used, you will definitely get a style that suits you. Micro braids are not for every type of hair so before you settle for the style, thee are things that one should be aware of. 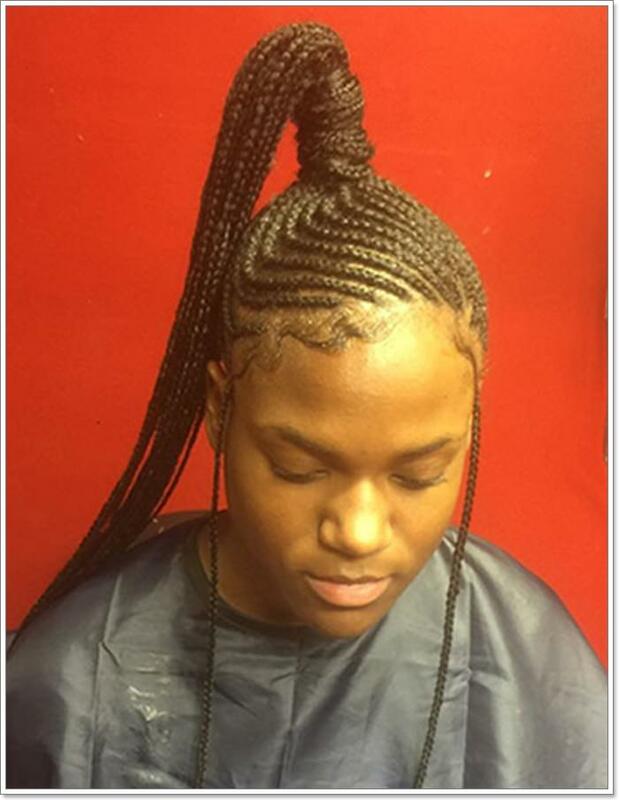 The fact that the braids are fixed quite tight may cause the hair breakage around the front hairline. One should, therefore, take precaution on their hair type and the level of tightness they want for the front hairline. 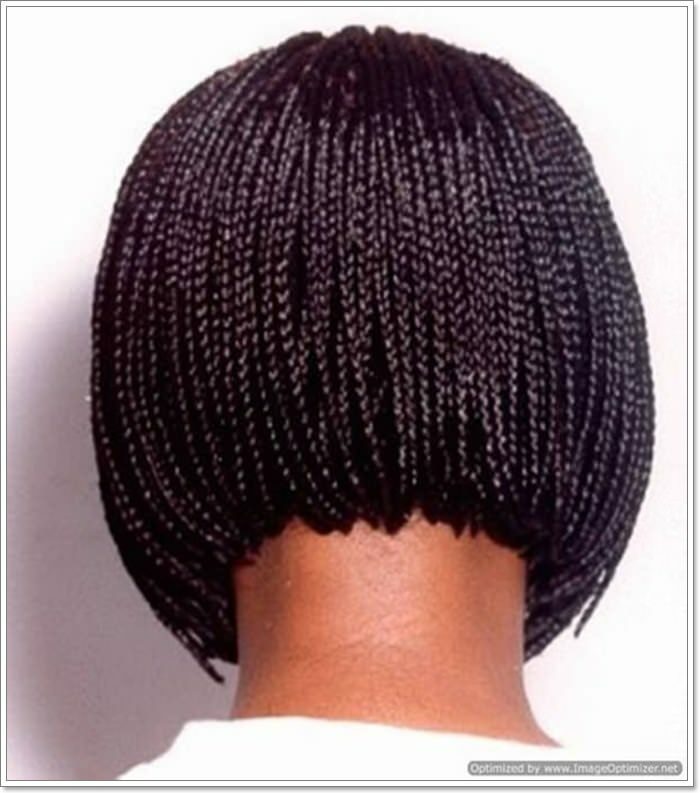 If you incur hair breakage as a result of tight braids then growing it back may take such a long time. 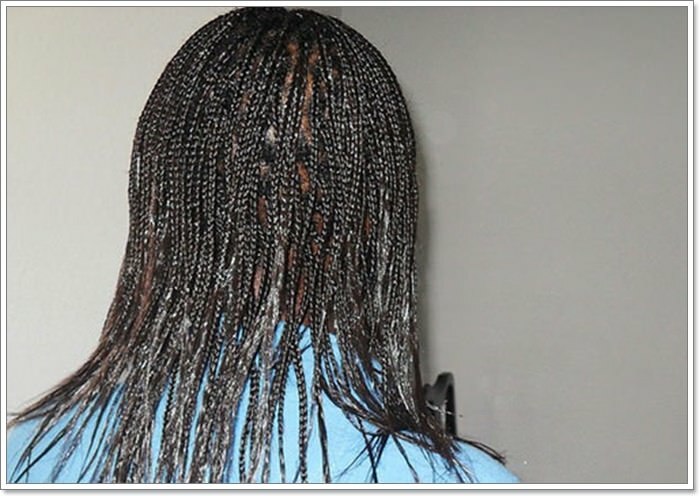 There are different hair extensions that can e used for making the micro braids. However, the synthetic extensions are the most common ones as they are cheaper than human extensions. Choose the right hair extensions that suit your hair well and also your budget. 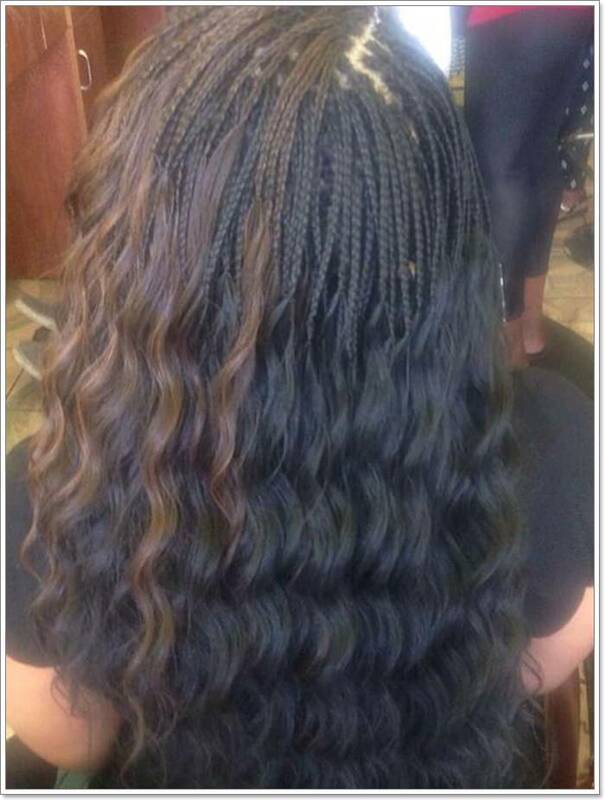 If you have long natural hair then its good to know that micro braids can also be done with natural hair. 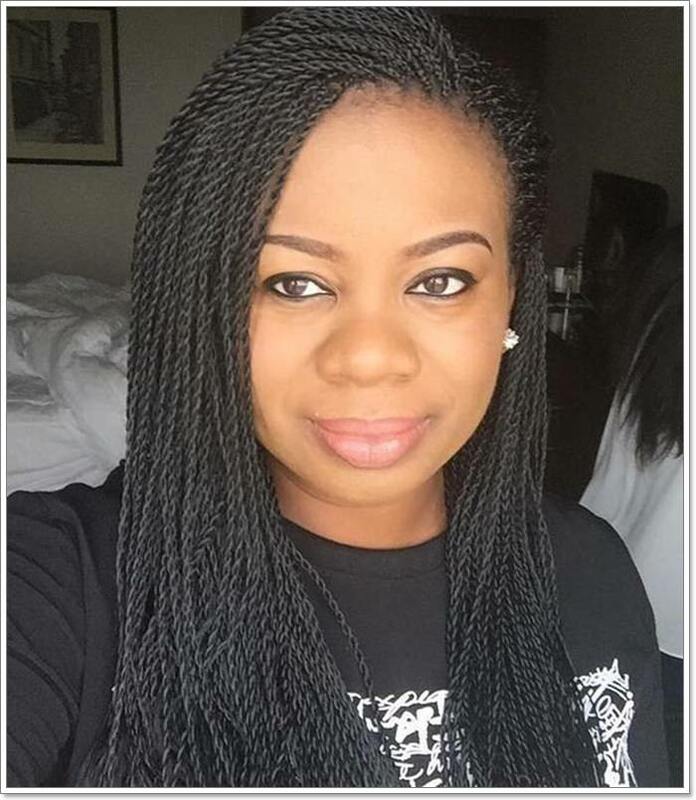 You should, however, avoid making the hair too tight so that you can easily loosen when undoing the braids. Micro braids look better when done with short hair. If you have long hair then you should consider moisturizing your hair well to avoid breakage of the hair. 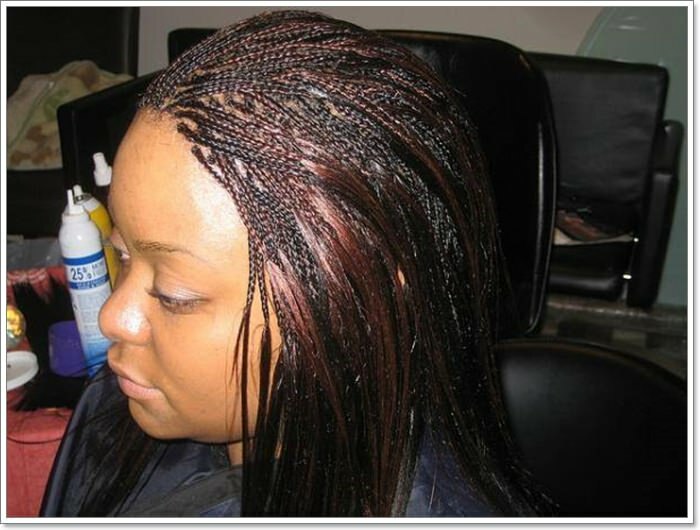 Wearing micro braids can be involving in terms of time spent on doing them and the payment required. Before you fix micro braids, ensure that the hair is well conditioned and the split ends well trimmed. You can apply protein treatment to the hair a few weeks before braiding it. Treating the hair helps with strengthening the hair and also reduces chances of hair breakage. 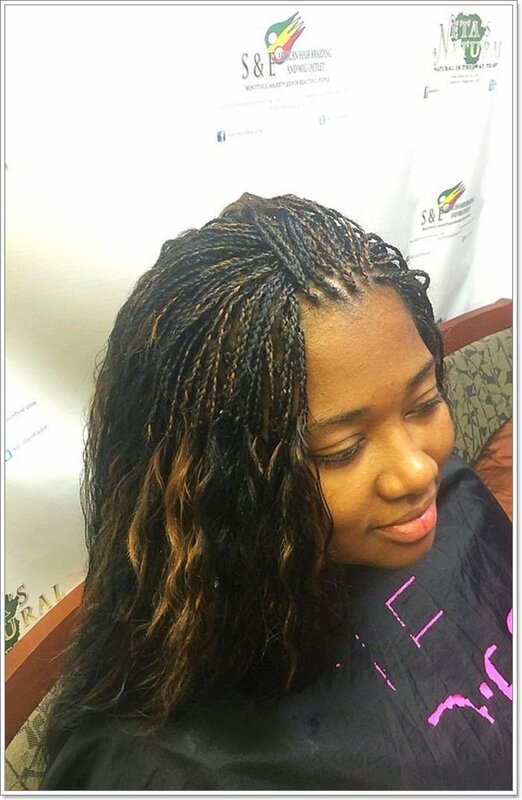 Micro braids require less maintenance once they are fixed and that’s one of the reasons why many people prefer them. Before you consider wearing the style, you need to be prepared to stay with the hairstyle for a longer period of time. 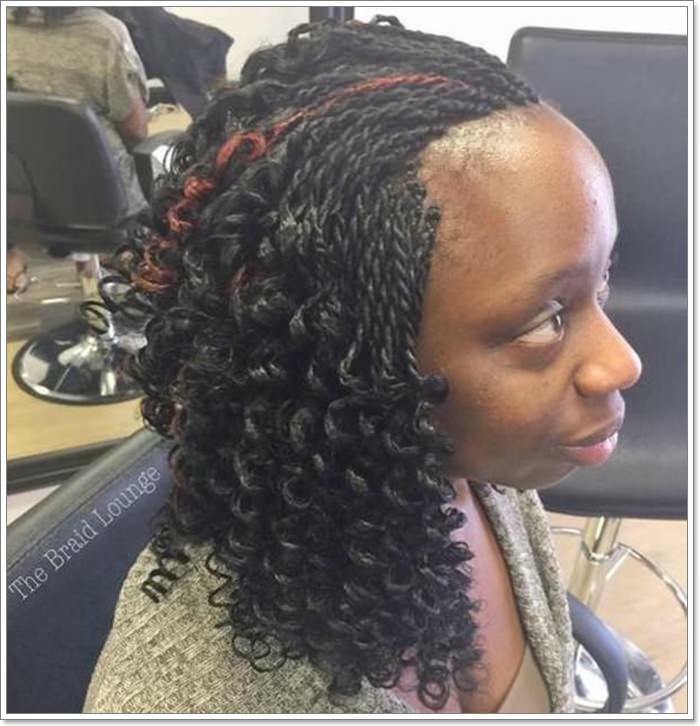 The reason for staying longer with them is due to the fact that fixing the micro braids can take several hours to complete. 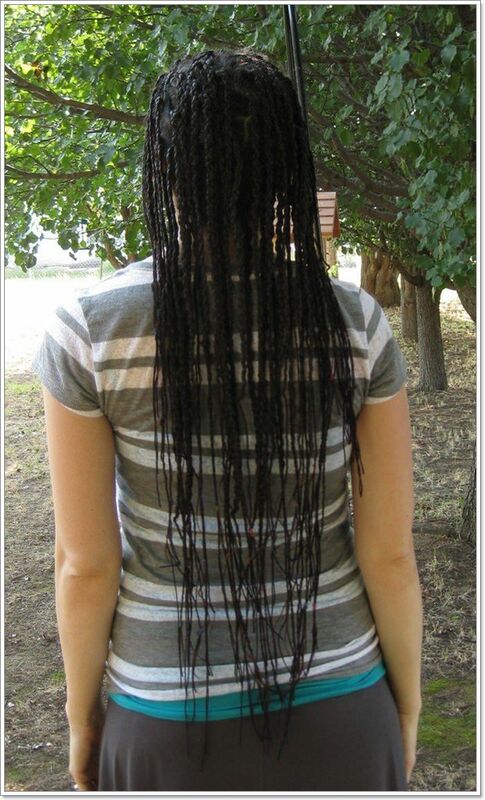 Undoing the braids is also involving and one should be well prepared to spend several hours in undoing them. There are several ways that can be used to style braids. However, consideration should be given to the facial structure and braiding style used. The type of styling used can in a way contribute to the length of time that the braids take before wearing out. Styling also adds to the beauty of the style. 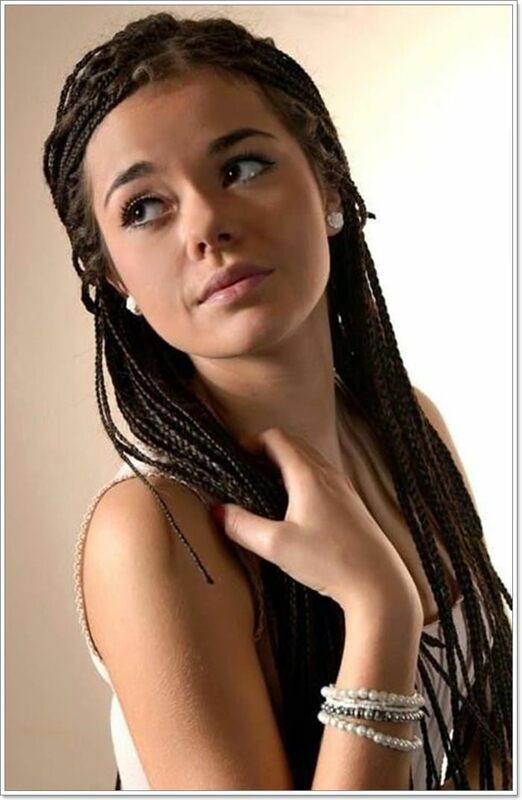 Cornrow braiding is one of the common ways of styling braids. 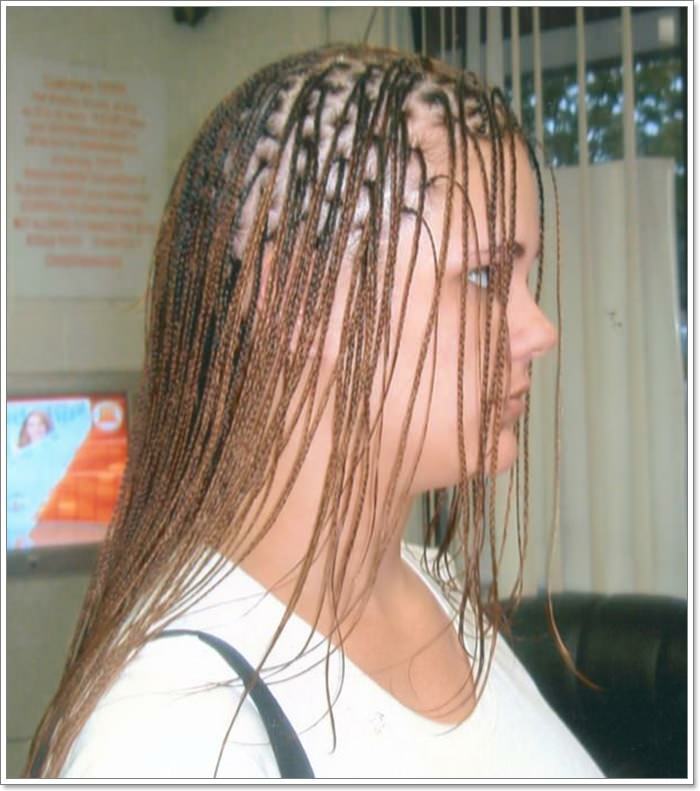 If the cornrows are done properly, they can last for a very long period of time. The style is ideal for everyone and is not likely to be exposed to damage faster. 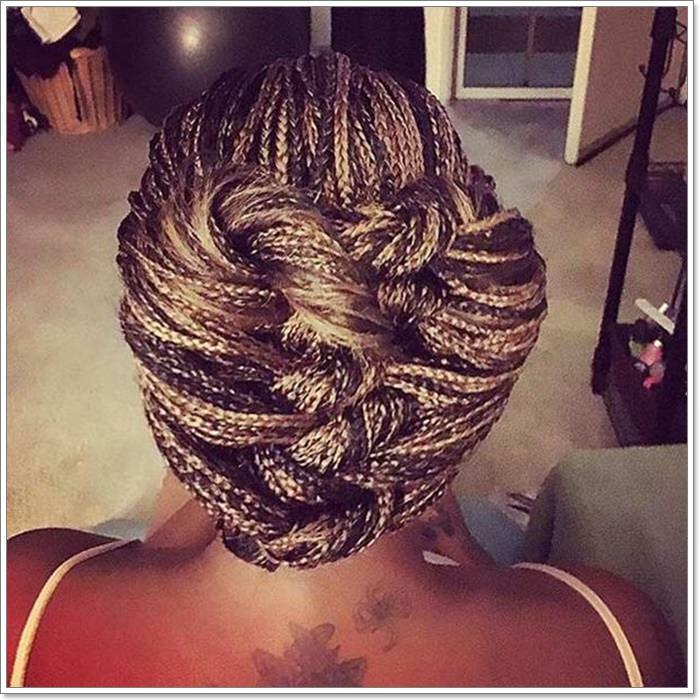 Braided updo is another way of styling micro braids. This is a style that can work for any hair length and facial type. The hairstyle is also ideal for wearing for any occasion and that’s a fact that makes it versatile enough. 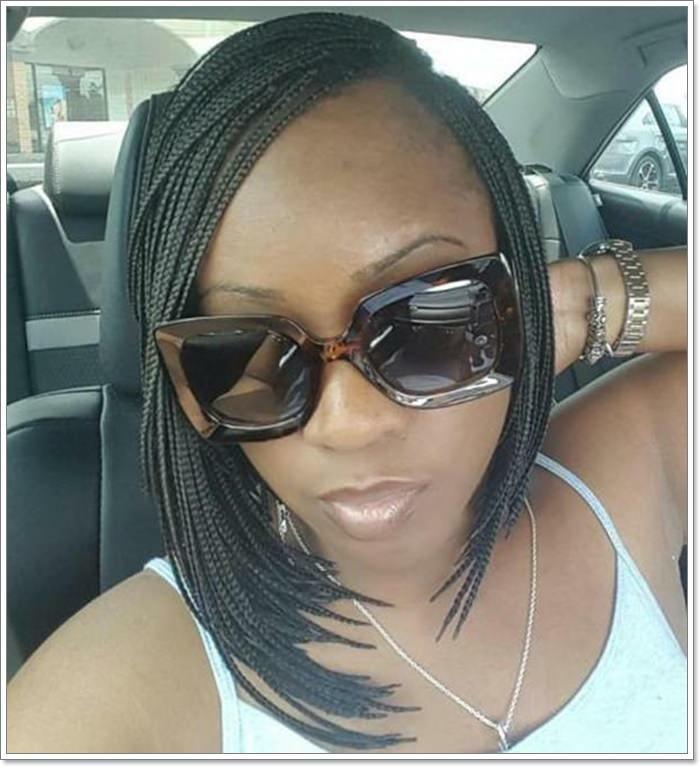 Wavy braids is another sophisticated way of styling micro braids. The style is normally amazing and looks great if done properly. For the waves and curls to be appealing, the length of the braids should be a bit long. 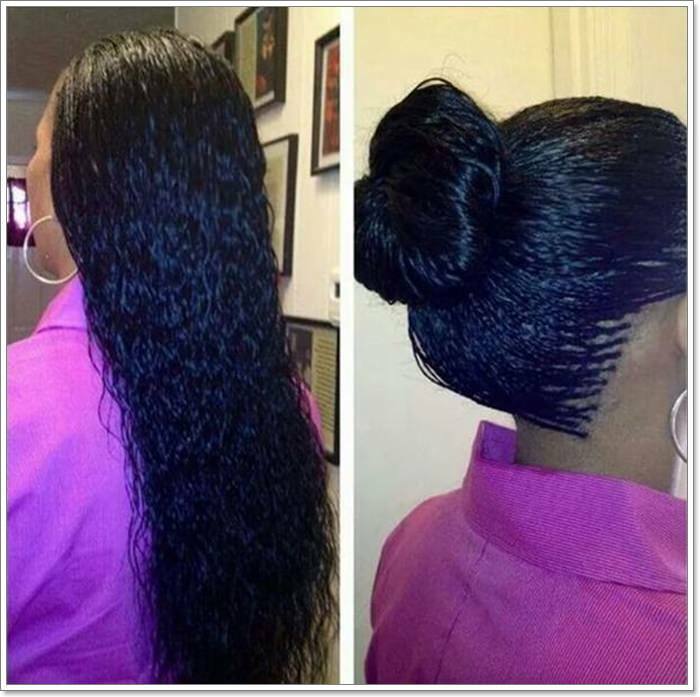 Micro braids with ponytail such as the one below is another way of styling braids. The raised ponytail looks cute with the half braided hair creating a nice contrast. The choice of color shades used in the styling also adds to the intricacy of the style. This is perfect hairstyle with the tiny braids looking so beautifully arranged. The updo adds shape and style and in turn makes the entire hairstyle to stand out. The aspect of color is another thing that reflects beautifully on the skin tone. Add some glam and sassiness to your style by leaving a side of the hair unbraided. 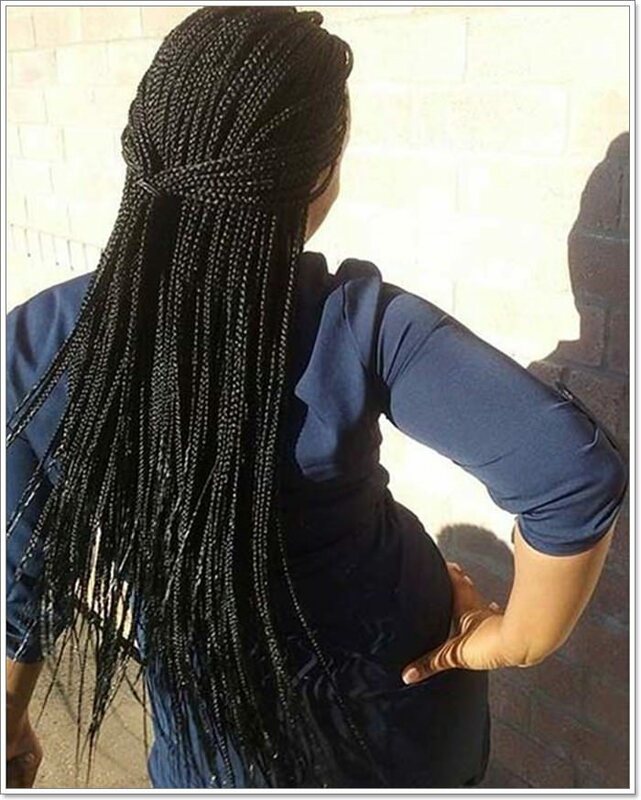 The braids are neatly done with the one dark color used glowing beautifully. The hairstyle looks adorable with every element adding to the intricacy of the style. From the style of braiding used to the color of the braids, the hairstyle looks quite adorable. The styling used in the facial area adds to the complexity and elegance of the style. The braiding is also done in a uniform way which is quite cool. Such a relaxed way of styling micro braids. If you want something for a casual meeting then the hanging braids are ideal. 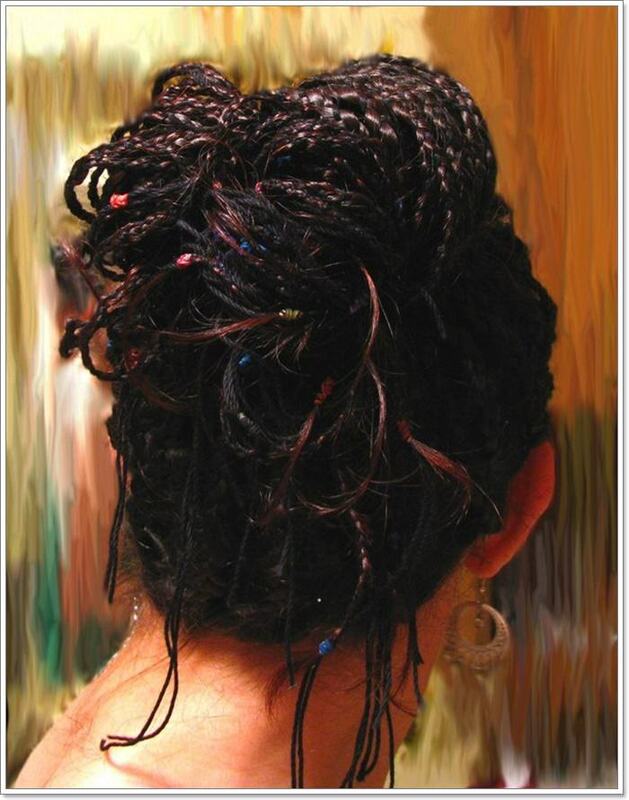 The color of the braids reflects beautifully on the wearer and creates such a magnificent outlook. 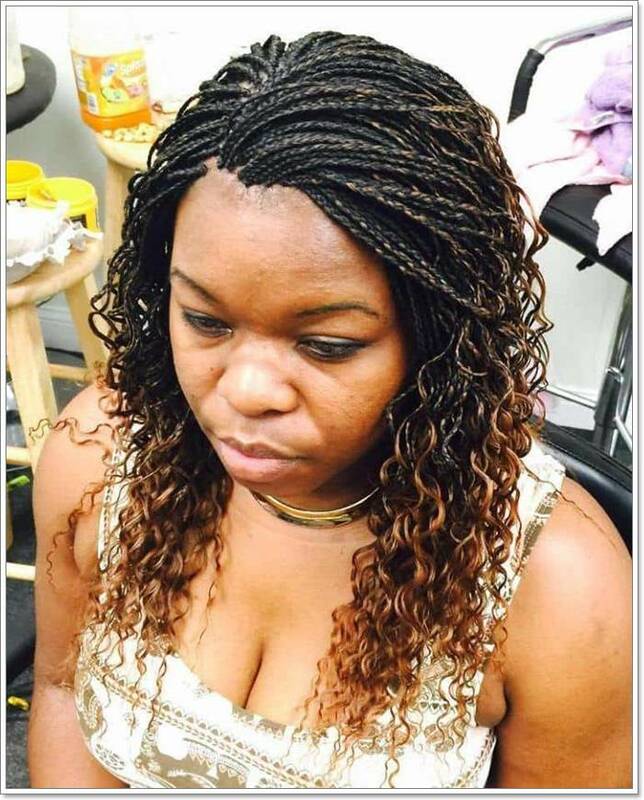 Twisted micro braids is another way of wearing braids. The twisted ones are normally easy to fix and undo compared to the three strand ones. The color used in the hairstyle below looks adorable and also create such a magical outlook. You can get this voluminous outlook by using several hair extensions. Adding a little bit of color has a way of adding contrast and making the hairstyle to pop. The styling looks great with the curls and waves used in the hairstyle creating an adorable outlook. The hairstyle also looks voluminous and provides a good shape to the hair. The small raised bun adds shape to the hairstyle and makes it look elegant. 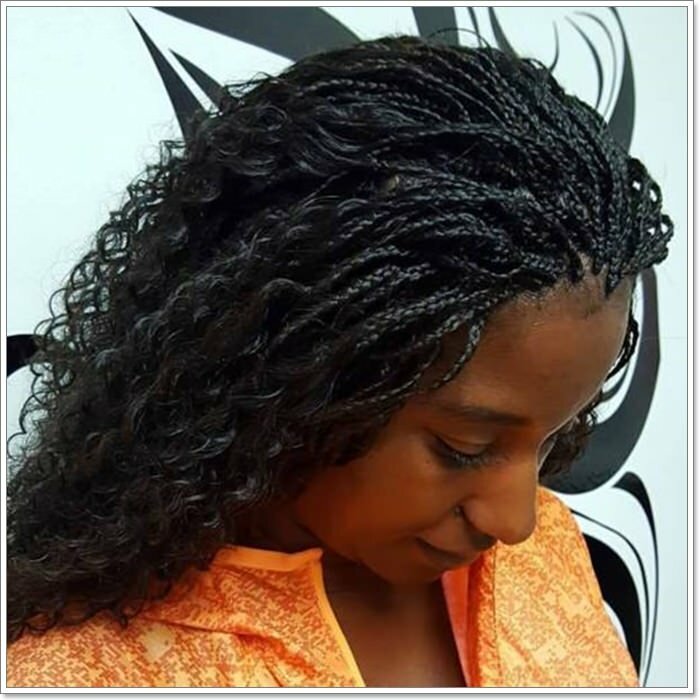 The micro braids are neatly done and make every piece of braid to look sleek and with the dark color reflecting beautifully on the skin. From the beautiful combination of color to the ponytail, the below style looks adorable and flawless. 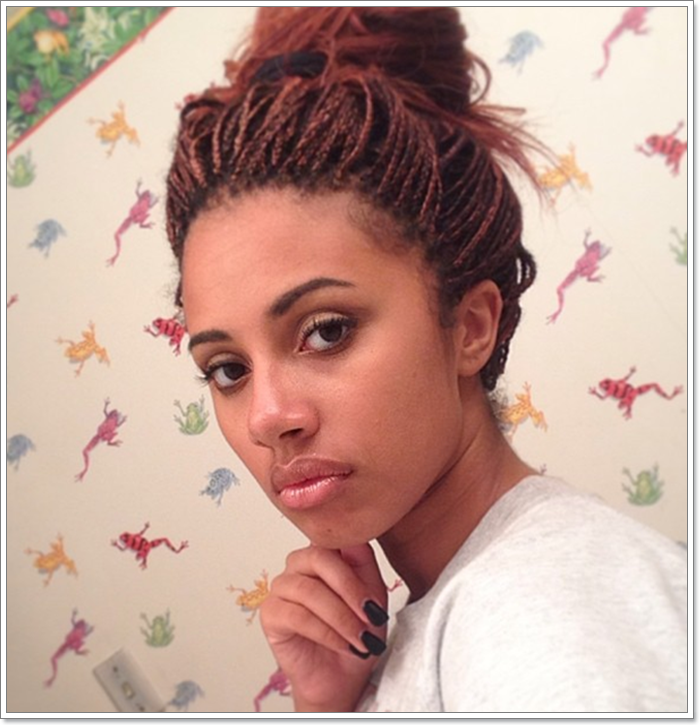 The twisting style used in the hairstyle also makes it easy to undo when one is ready to have a change of the braids. 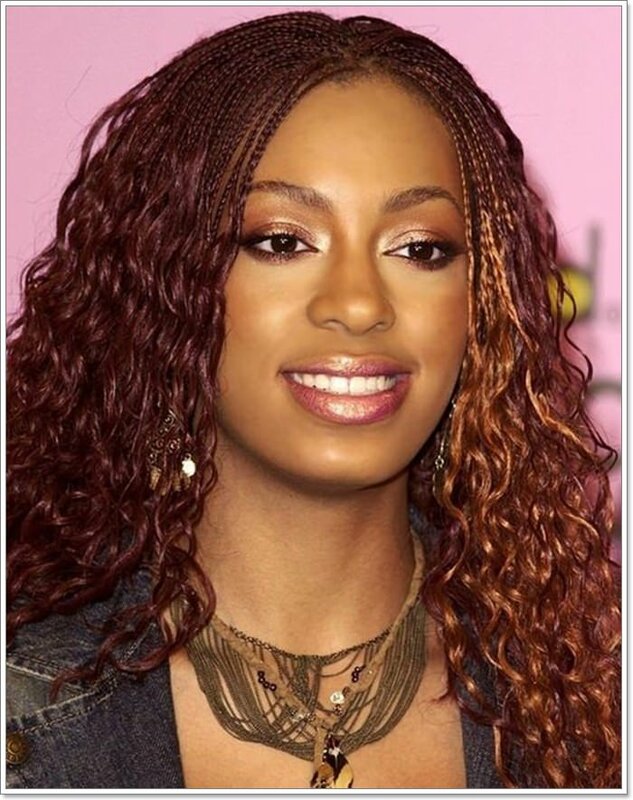 Black and brown shades are the common colors used in micro braids. However, there are also those who find the bold colors to be inspiring. 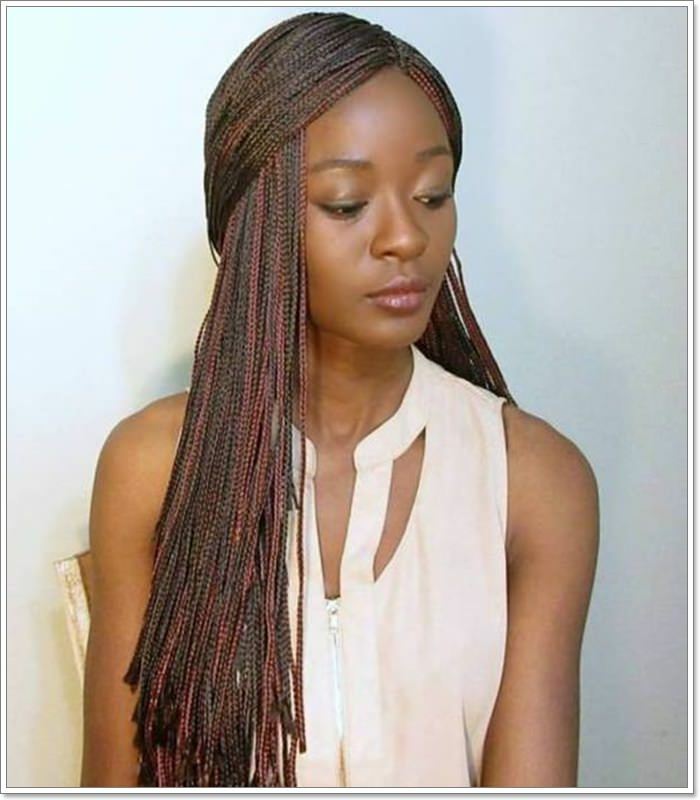 If you want to try out some bold colors then you can consider using it on a few braids just to see how it turns out. 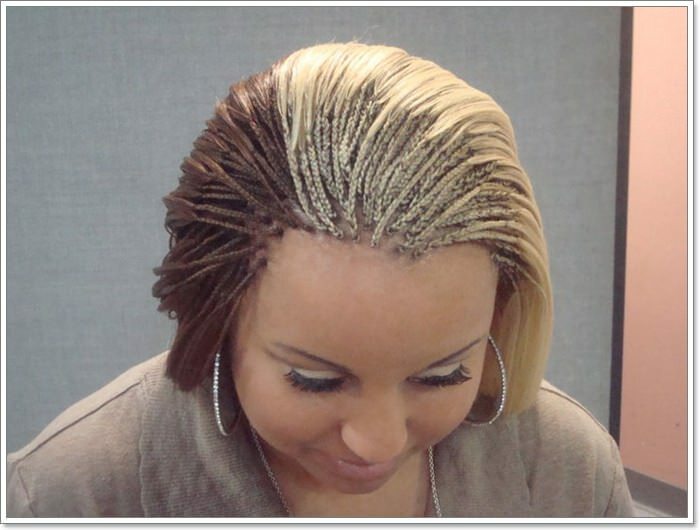 Micro braids are loved by many people since they are fashionable and easy to manage. Once the braids are fixed, all that one is left with is styling the hair and moisturizing to ensure it’s not very dry and fragile. 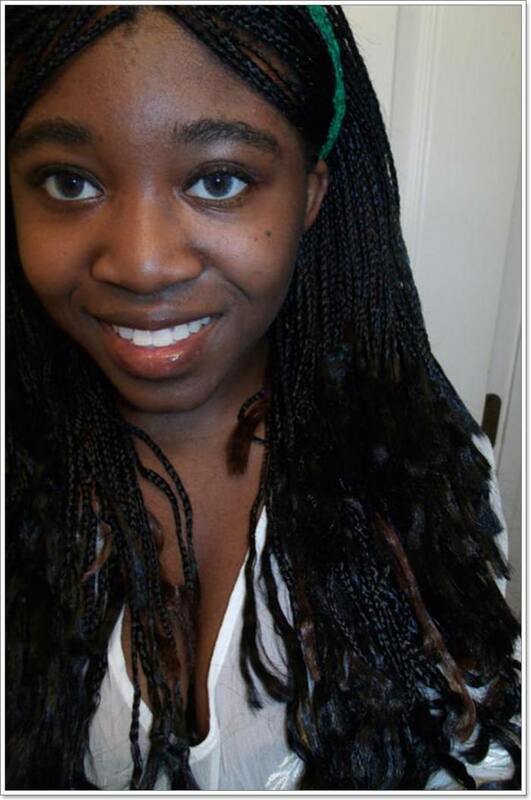 The style below looks cute with the overlapping braids towards the face creating such an appealing outlook. 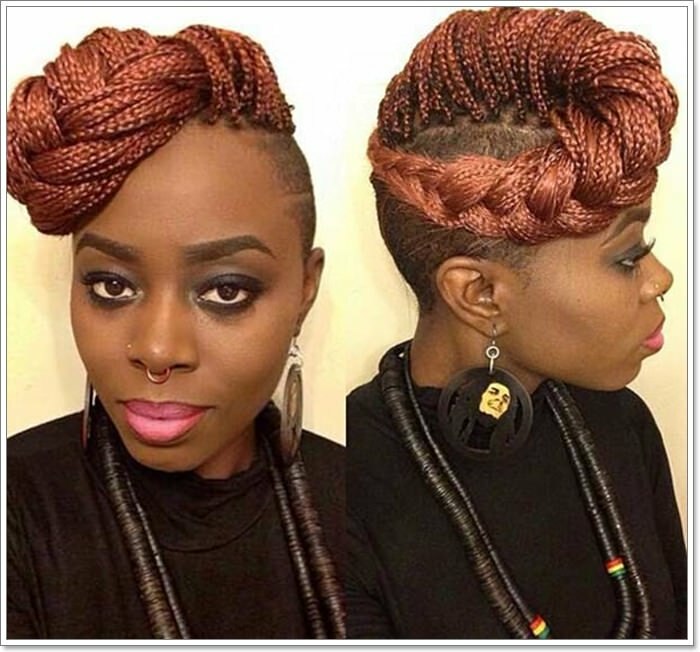 Braiding is also considered as a protective style that can be used to enhance the growth of the hair. By having a bunch of braids cover your hair, it also gives the hair time to grow and recover from effects of coloring and hair chemicals. 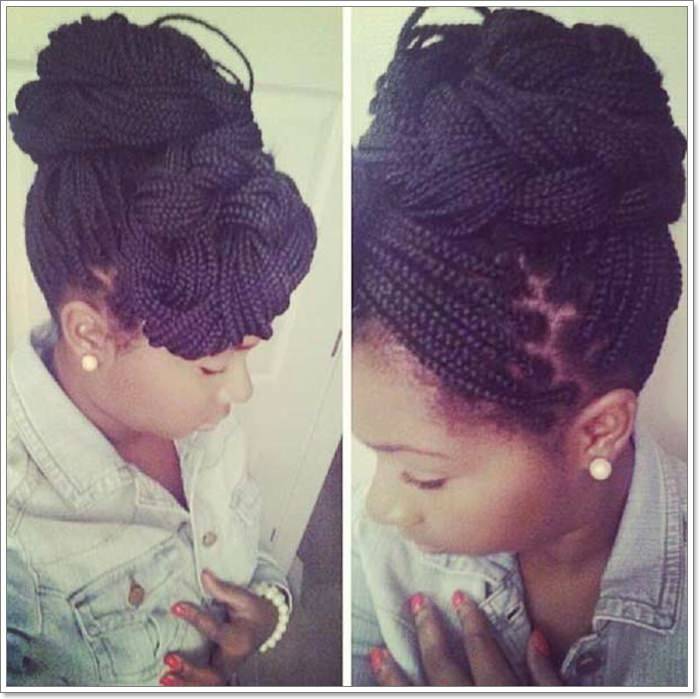 The micro braid style below looks simple and the colored part creating a beautiful contrast. 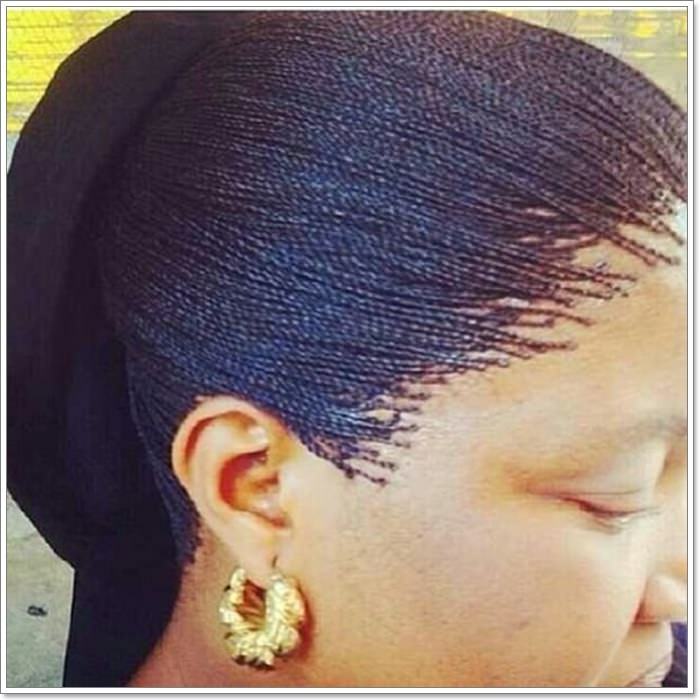 The micro braids below are very tiny and articulately fixed. The hair looks voluminous with several options that can be used to style it up. 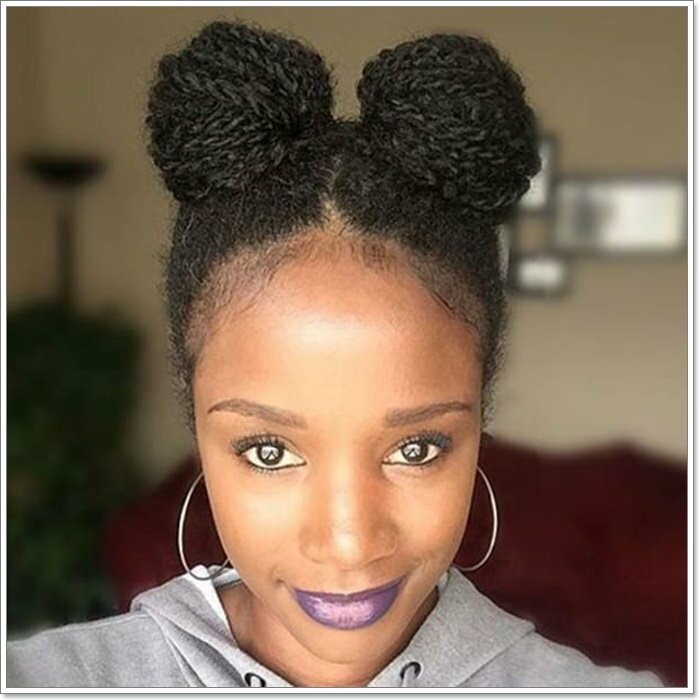 Whether you choose to straighten it all up or hold the braids into a nice updo, the style still looks glamorous and enhances the facial outlook of the wearer. Use of one color is another thing that makes the style to be ideal for both official and casual functions. Combining micro braids with hair extension is another way of making the hairstyle to stand out. The brown and maroon colors used in the style below looks adorable and adds life to the style. The wavy layers of the hair extension used also makes the style to stand out in such an adorable way. 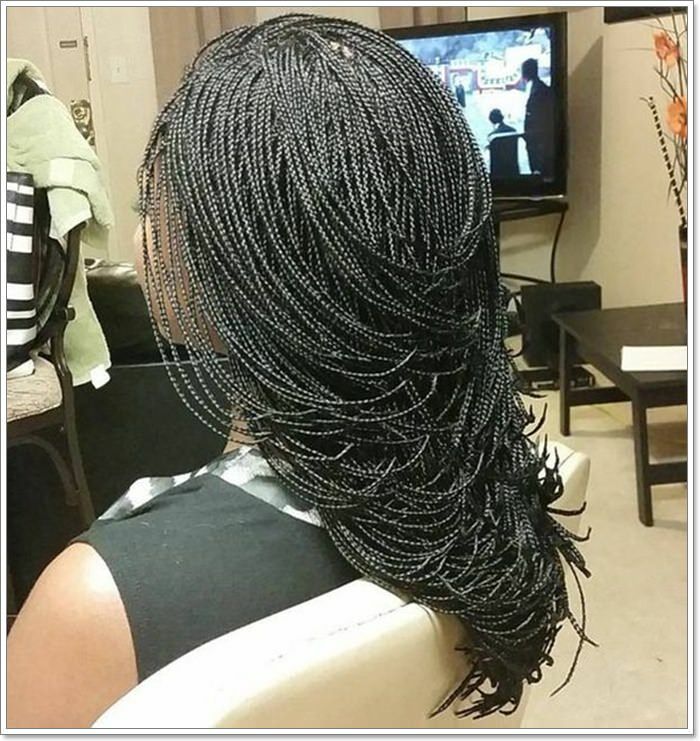 Twisted micro braids have a way of creating such a warm and captivating outlook. 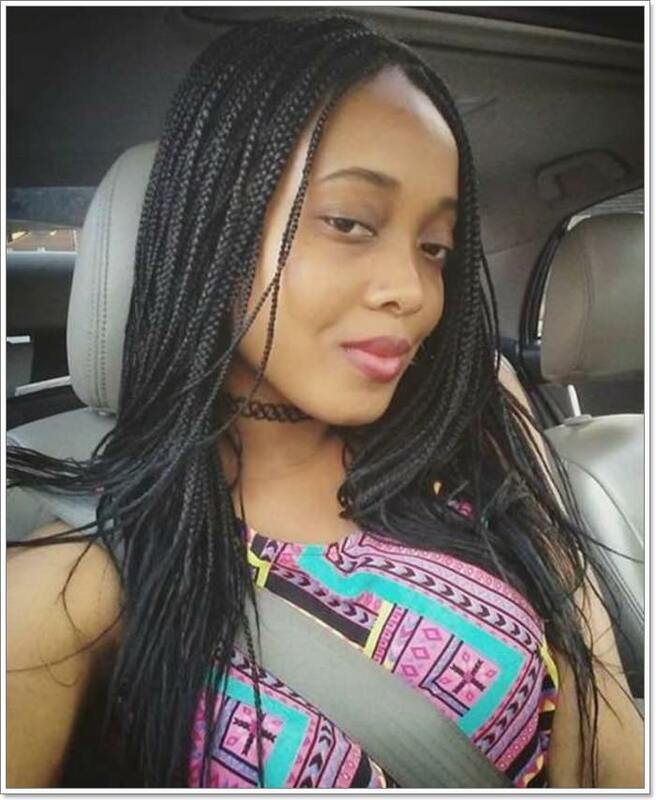 The braids look adorable and enhance the wearer facial features. The way it’s styled also makes it ideal for the official and casual event. With many ways to rock your braided hair, one has such a range of styles that they can use to attain a unique and appealing look. 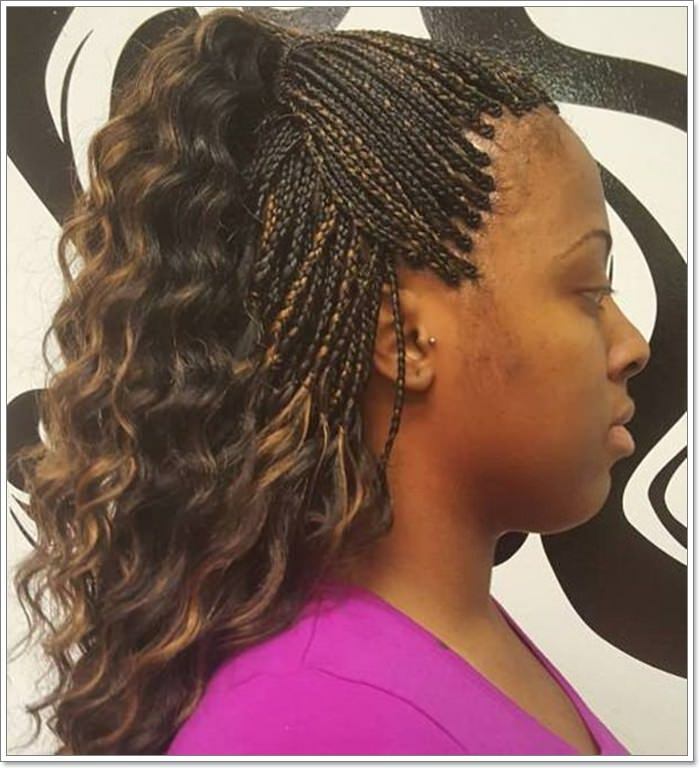 Braiding provides women with the opportunity to create masterpieces with their hair. Put your creativity into use and add styles that are only unique to you. 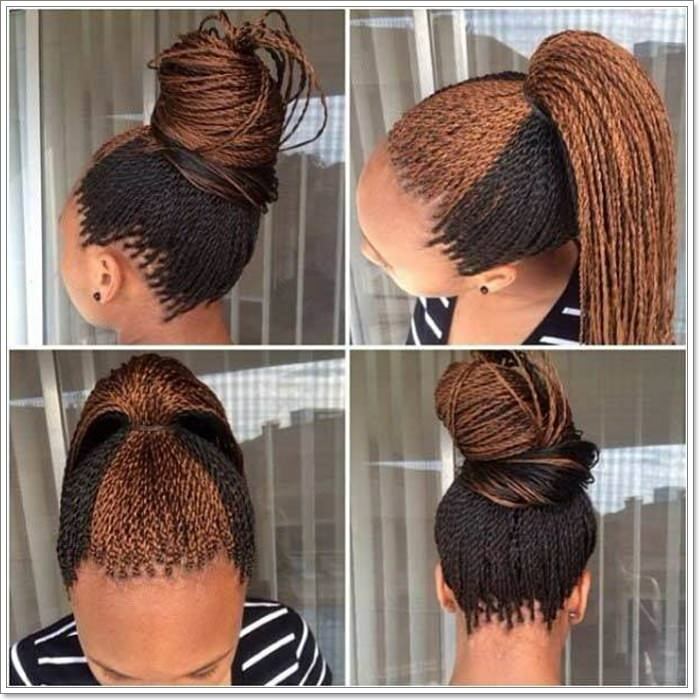 The braided hairstyle below looks cool and reflects nicely on the wearer. The braids are also styled in a way that adds volume to the hair. Such a classic and flawless look with the combination of brown and black color adding to the beauty and elegance of the style. You can toss your hair and style it in a way that also blends with the facial features. Each strand of hair is nicely held in place and creates an adorable outlook. 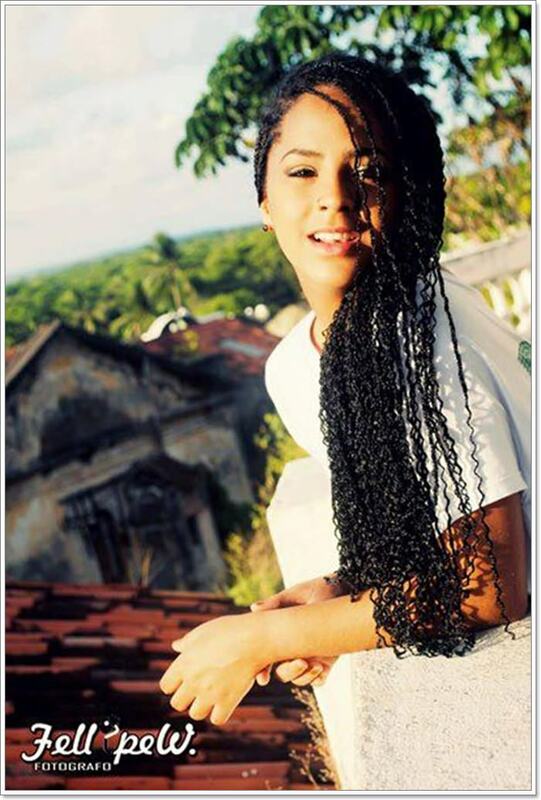 Combination feed in braids and micro braids creates a cool contrast and adds to the intricacy of the style. The black and golden brown colors used in the style also blend well and creates such an adorable outlook. 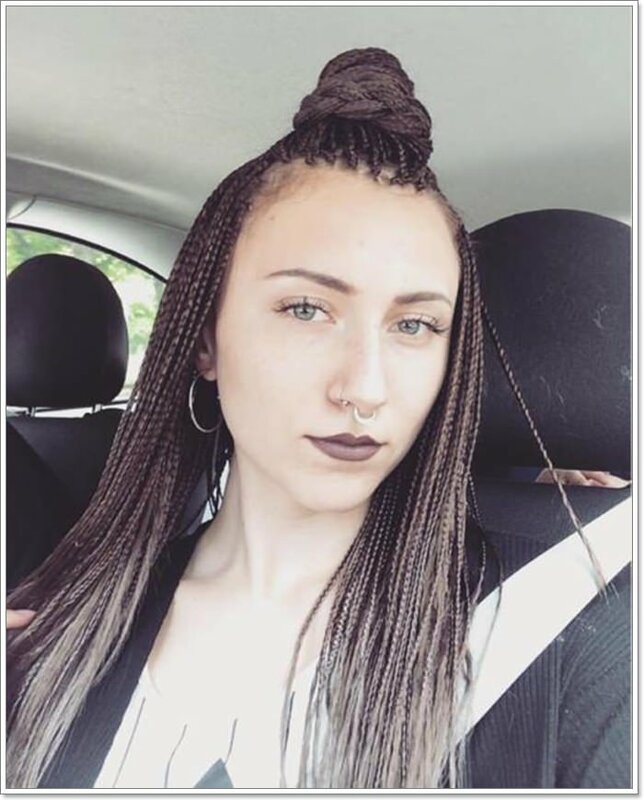 With braids, you can come up with unique ideas that make the hairstyle to pop. Very tiny and intricately fixed micro braids that can easily pass for the actual hair. The styling is elegant and creates such a voluminous outlook. The braided hair is also styled n a way that brings out such a sophisticated outlook. It takes hours of sitting to have a style like the one below fixed and styled. You should also consider using the same amount of time while undoing it. 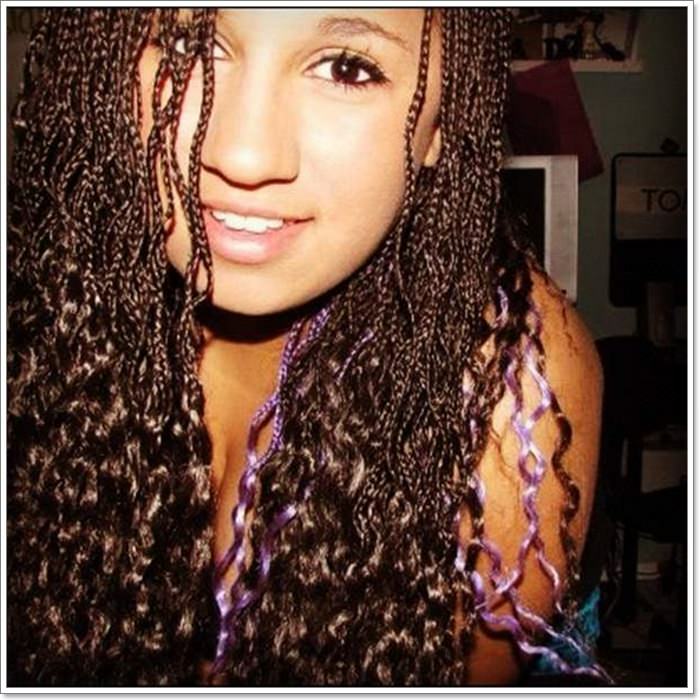 Curly braids look adorable and have a way of enhancing some sassy outlook on the wearer. The styling is cool and gives volume to he hairstyle with the curl edges creating such a magnificent outlook. You can toss the hair to whichever side you feel comfortable with for a cool outlook. 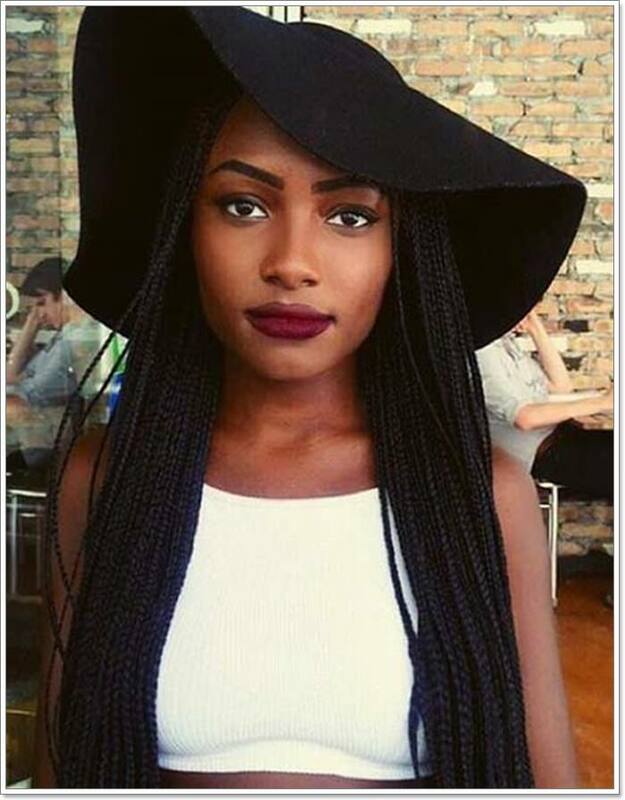 Braids can also be used as a way of expressing your unique style and character. release your inner fashionista in a way that leaves heads turning and many asking questions about the style. The magnificence expressed in the style below is thrilling as it shows a great level of expertise and elegance. Each braid seems to just include a few strands of hair and that creates such an adorable outlook. Add glam and elegance to the style with beautiful use of color. Parting the braids in the middle is a cool way of styling the braids with the highlighted parts creating such an adorable outlook. The curly layers of the hair also make the style to really pop in a magnificent way. Create that girly outlook and rock a style that brings out that inner girl. Adding your artistic style has a way of expressing your personality in a way that’s empowering. The hairstyle looks adorable with the layers of hair creating such an adorable outlook. 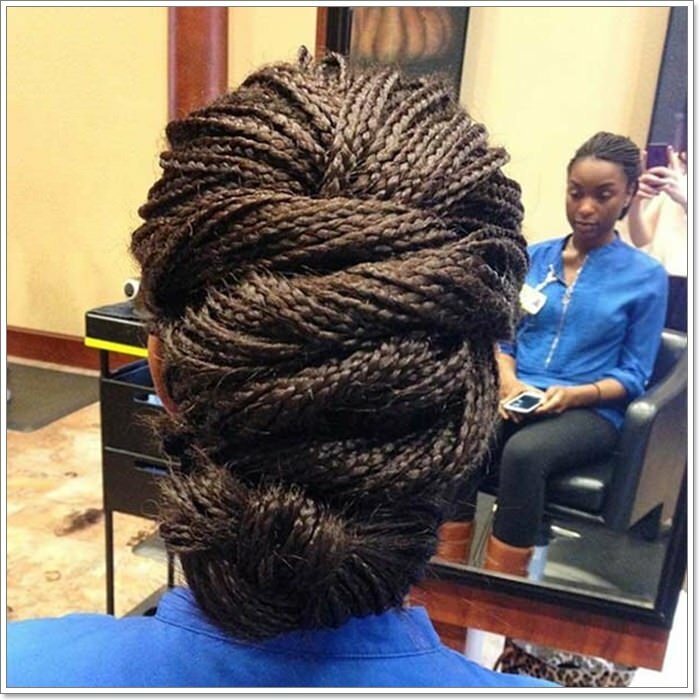 If you are not into spending lots of hours on a chair as your braids get fixed then you can opt for the easy way. The braided style below looks cool with the loosely left layers falling beautifully in place. This style entails braiding part of the feed in braids and leaving some part of the hair extensions loose. It, in turn, leads to a very voluminous outlook which is quite eye-catching. 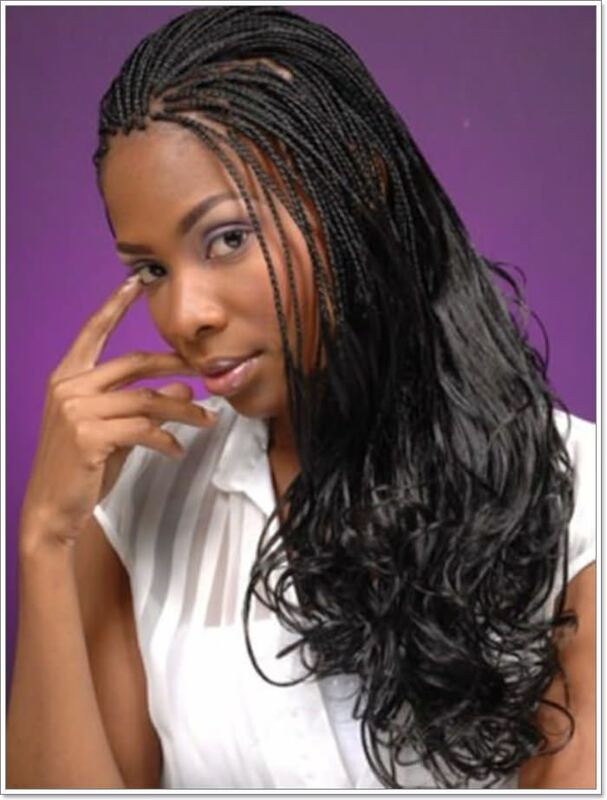 Instead of using hair extensions, you can also make the micro braids with your natural hair as in the style below. As much as the braids may appear scanty, the styling is done in a way that enhances the outlook of the hair. The hair color also makes the style to pop in such an adorable way. Sweeping all the braids is not only stylish but also has a great way of enhancing the facial outlook. 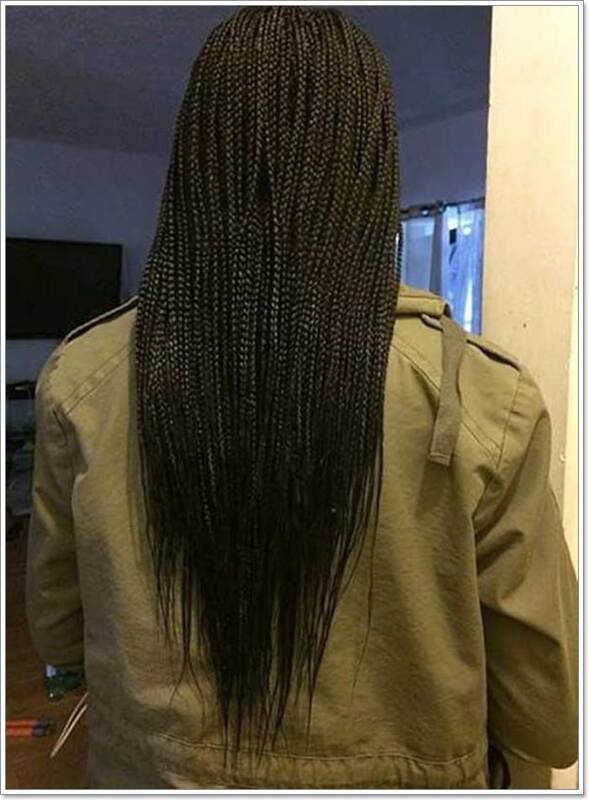 The micro braids are beautifully styled and look flawless going by how it’s styled. For the style to hold nicely in place, you can consider using bobby pins to hold the braids in place in such a subtle way. 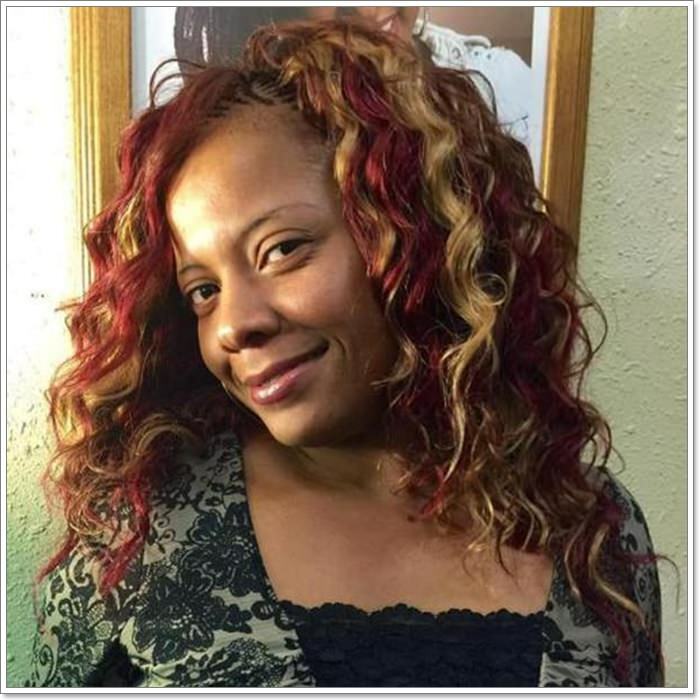 Use of color and curls or waves on your micro braids can in a great way enhance the overall outlook of the style. the brown and black color used in the style below creates a nice blend and makes the hairstyle to stand out. The flawless layers of braids and the extension also makes the style looks so adorable. Styling is key if you want a hairstyle that suits any occasion. 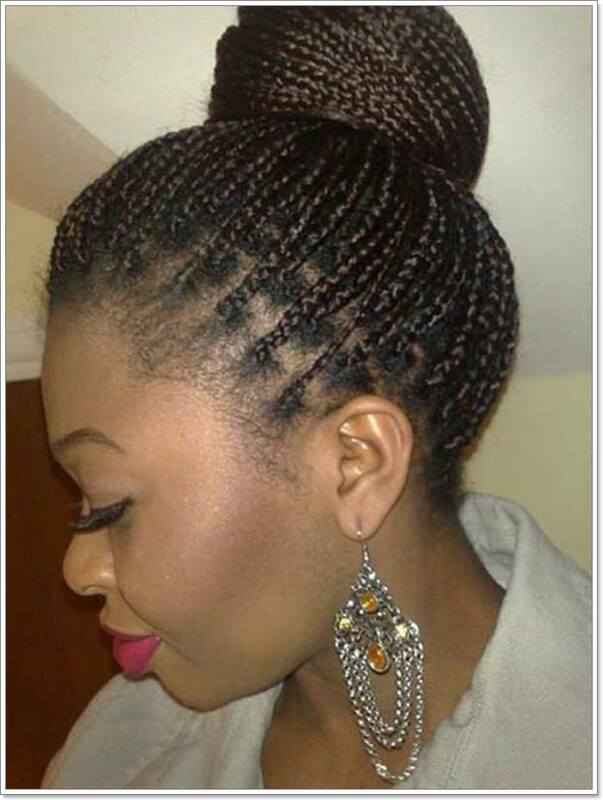 How you style your braids is what determines whether its suitable for a casual or formal occasion. The style below looks simple however the wavy edges makes the style to stand out in such a beautiful way. 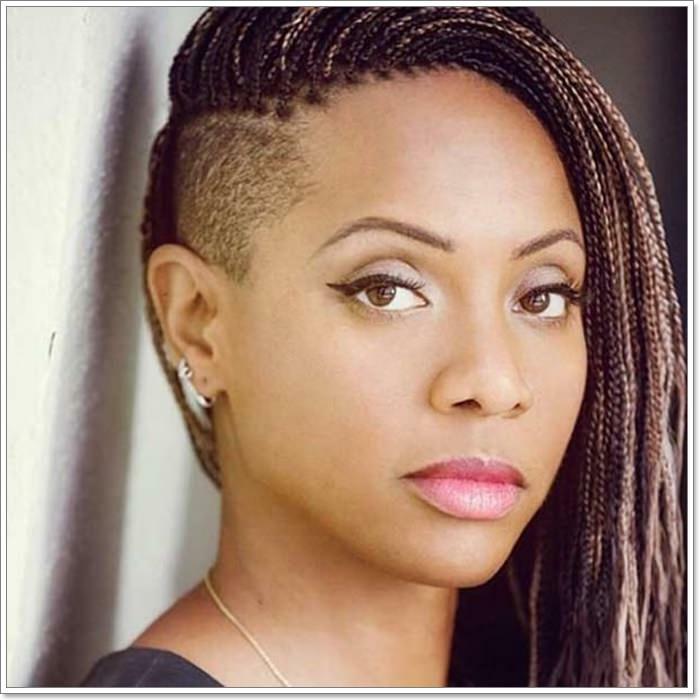 As you look out for different styling options for the micro braids, consider settling for a style that matches your facial features. 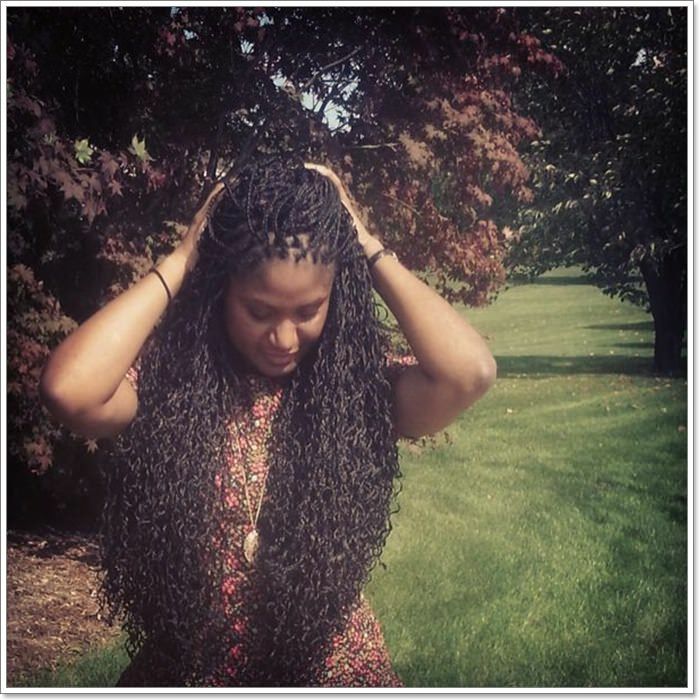 The braids are beautifully fixed and the curly edges also add to the intricacy of the style. 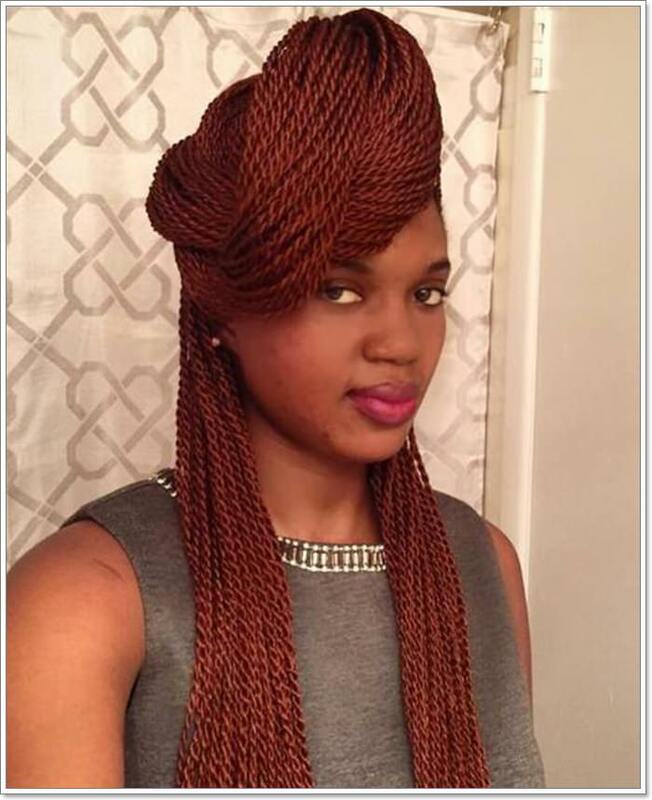 The color used in the hairstyle blends well with the wearer’s skin complexion. If you are looking for something that’s intricate and unique then consider the hairstyle below. The fixing of braids is intricately done in a very tight manner which shows that the braid can last for a long period if well taken care of. The styling is elegant and brings out some element of sophistication to the style. 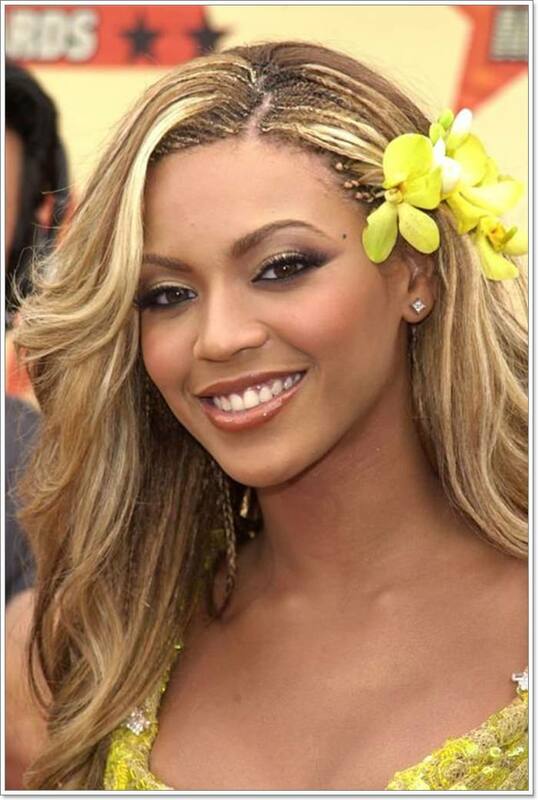 Rocking braids like the one below is just stunning and have a way of enhancing one’s overall outlook. The free-flowing nature of the braids provides the wearer with several styling options. The one color used in the style also makes it stand out in a fun and exciting way. The styling used in the hairstyle below brings out a beautiful shape and makes the hairstyle to stand out. Apart from the braids being nicely fixed, the hairstyle is also glowing in such an adorable way. If you are not into something that’s more complex then consider going for the below style. The height is also average enough which makes it easy to manage. Such a breathtaking and articulately styled hair. The color highlights make the entire style to pop in such a magical way. The updo is enough to keep heads turning with each piece of braid looking flawless. The beauty of braiding lies in the fact that you can style it as desired and still maintain the cool and sassy outlook. 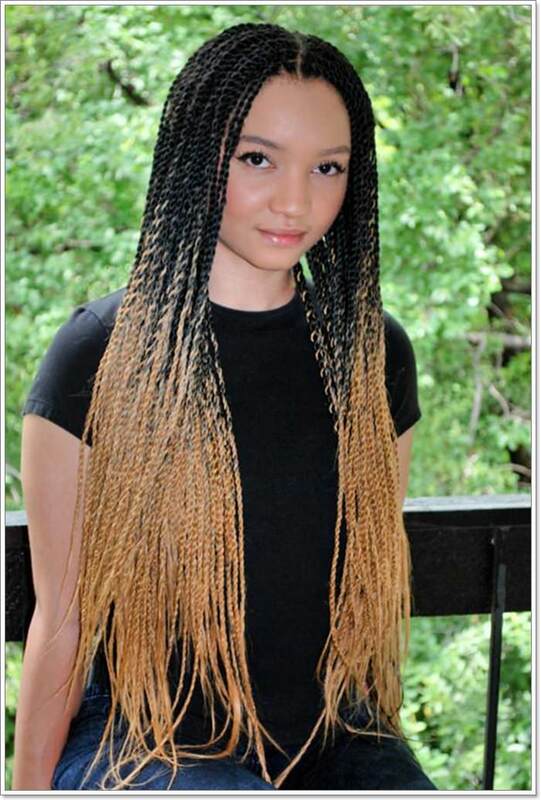 The pop of color in the micro braids below is not just elegant but also very fascinating to look at. Different shades of blond have been combined in a well that blends so well and the styling also makes the hairstyle to stand out. 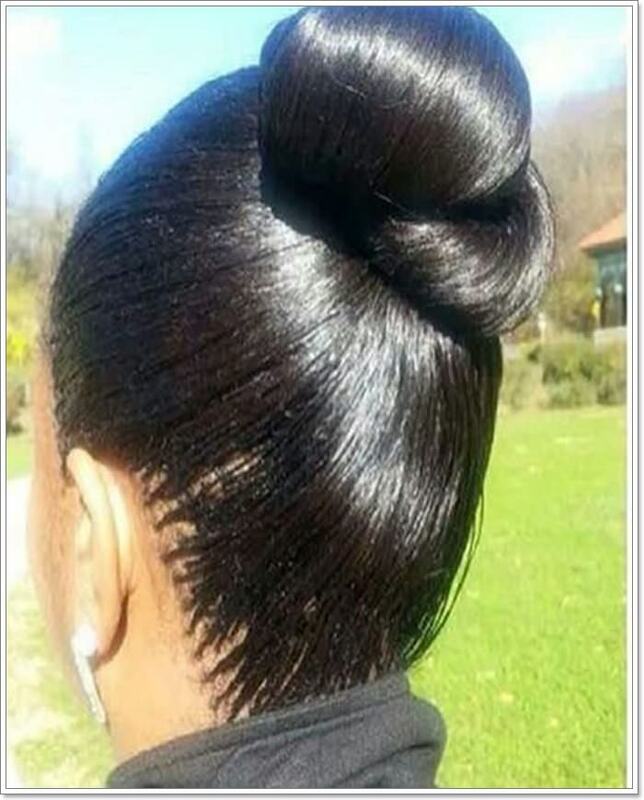 Every element used in the hairstyle below adds to its intricacy and makes the entire style to pop. Half braided hair is a simple way to adorn the beautiful style without having to spend long hours sitting on a chair as your hair gets fixed. The length of the hair is cool enough and easy to manage. This type of hair extensions is also convenient since they cover the feed-in braids perfectly well. Stylish and chi is the best description for the hairstyle below. The combination of corn braids with micro ones creates such a beautiful blend that makes the hairstyle to really pop. The braid cuffs add to the intricacy of the style and also creates such a cool contrast. 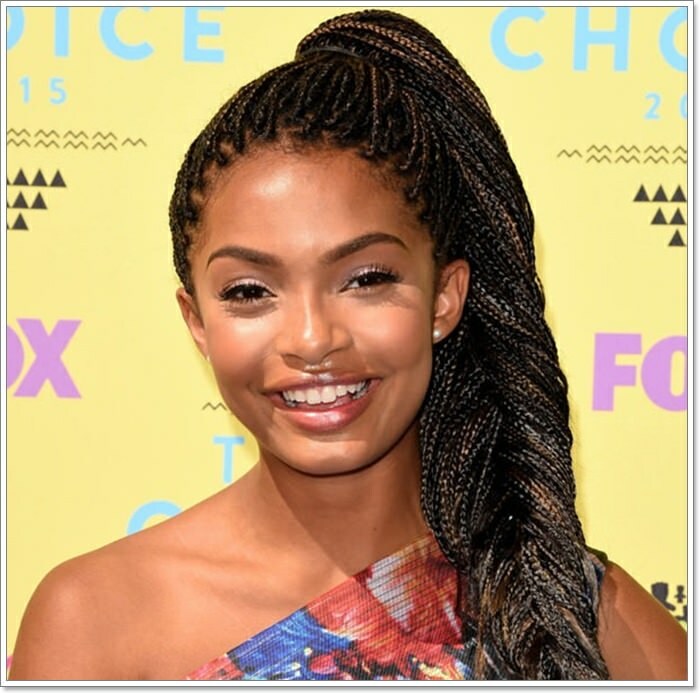 The curvy mini braids look spectacular and express such a unique way of styling. 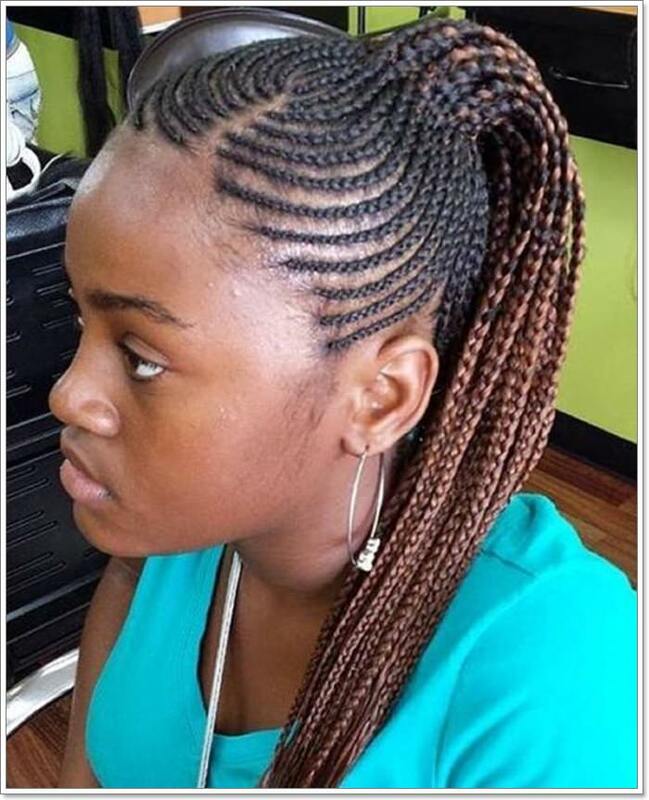 the braids are nicely done with the edges cured uniformly in a way that makes the style to really pop. The styling is not only fascinating but also captures imagination is a cool way. The side styling makes the entire style to really pop in a way that’s quite magical. 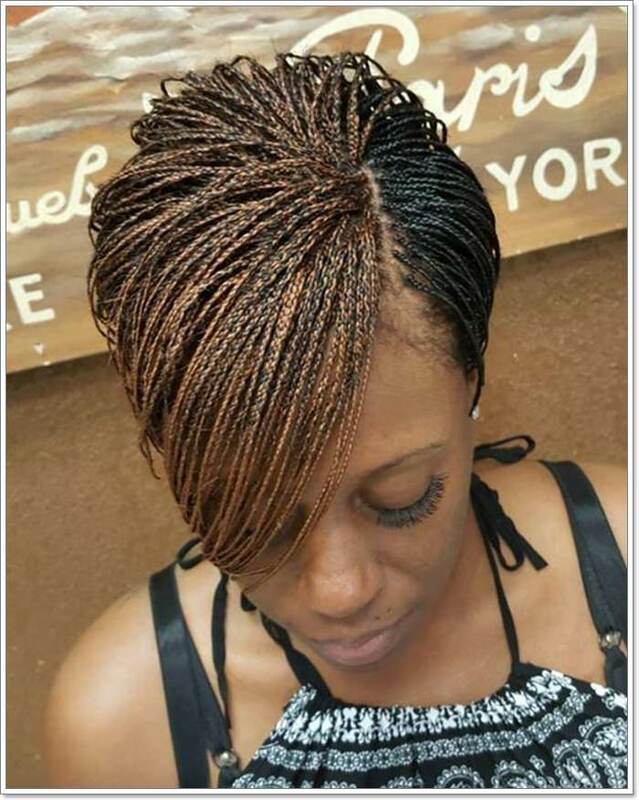 Short micro braids that are beautifully styled with the color of the braids making the hairstyle to stand out. The styling has a way of enhancing the facial features and making the hairstyle t really pop. You can try it out if you don’t find long braids to be inspiring. 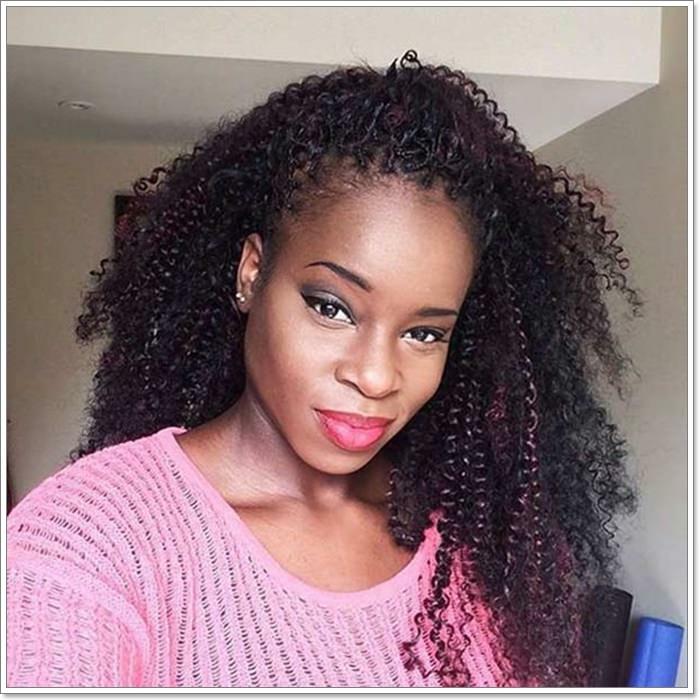 A sassy and magnificent outlook with the curly micro braids making the style to look quite voluminous. The shades of color used in the hairstyle also enhance the visual appeal of the braids. 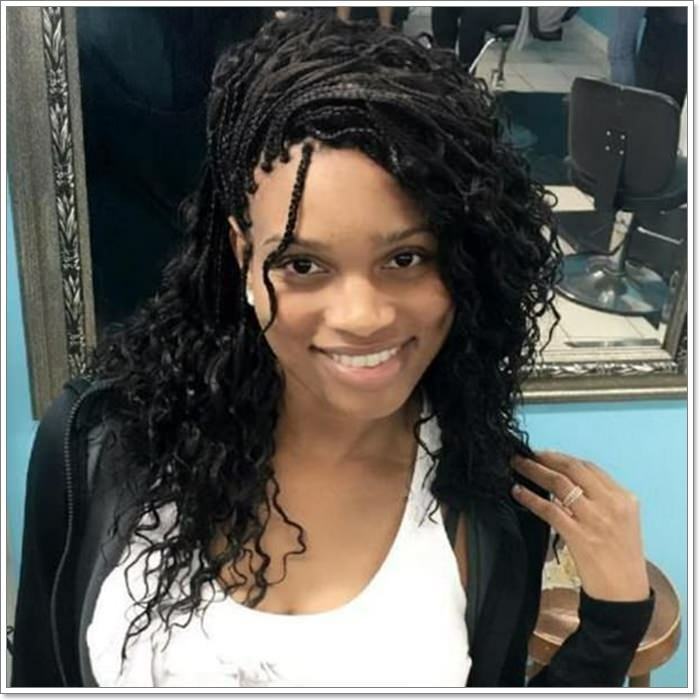 Celebrities are known to be trendsetters and having your favorite celebrity adorn a nicely done micro braid can be quite tempting. The styling looks simple and very relaxed. 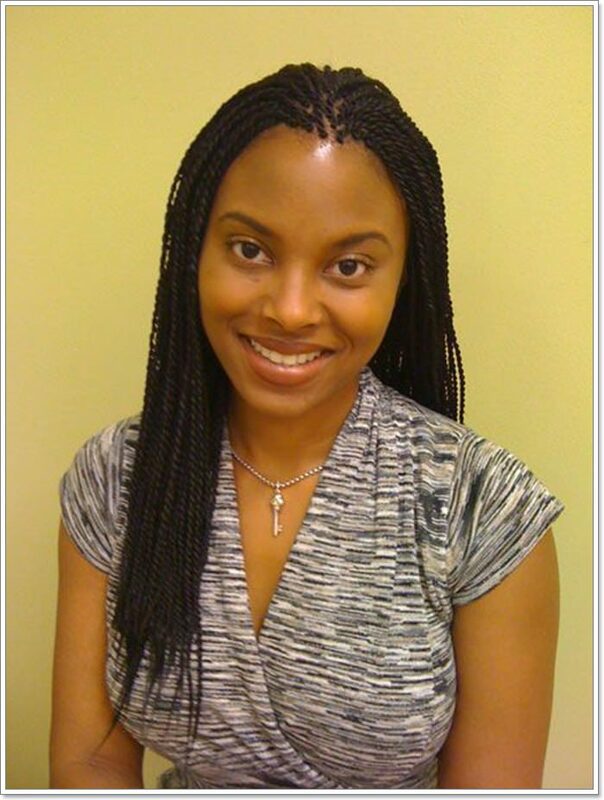 Such a cute and adorable micro braids that bring out that warm feminine look. The braids are neatly done with the side styling giving it such a nice shape. The styling also reflects nicely with the wearer’s facial structure. When settling for a micro braid style, ensure that you settle for a style that you will be proud of and something you can wear confidently. A good hairdo has a way of enhancing one’s outlook and also boosting confidence. the hairstyle below looks spectacular with the elements used adding to the intricacy of the style. Rock your twisted braids with style and elegance. The style below oozes some element of class and confidence that’s captivating. The highlights make the entire hairstyle to pop in such a magical way. The braids look easy and very intricately styled in a relaxing manner. 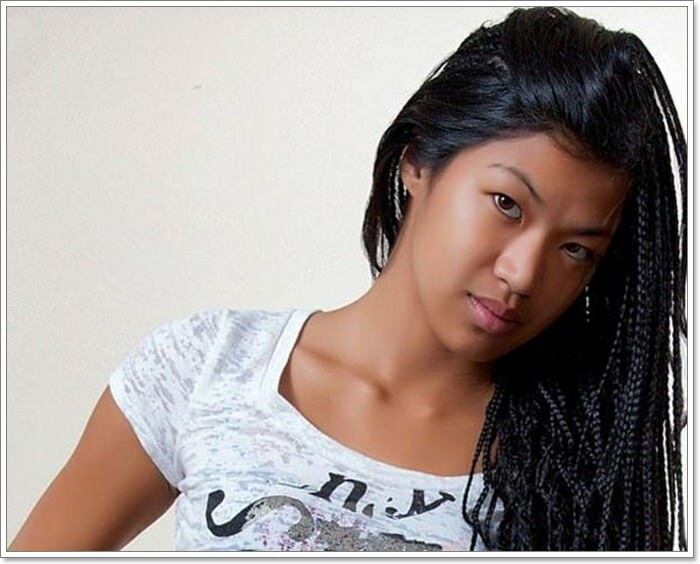 Mohawk style micro braiding is such a magnificent way of expressing that sassy and chic side. 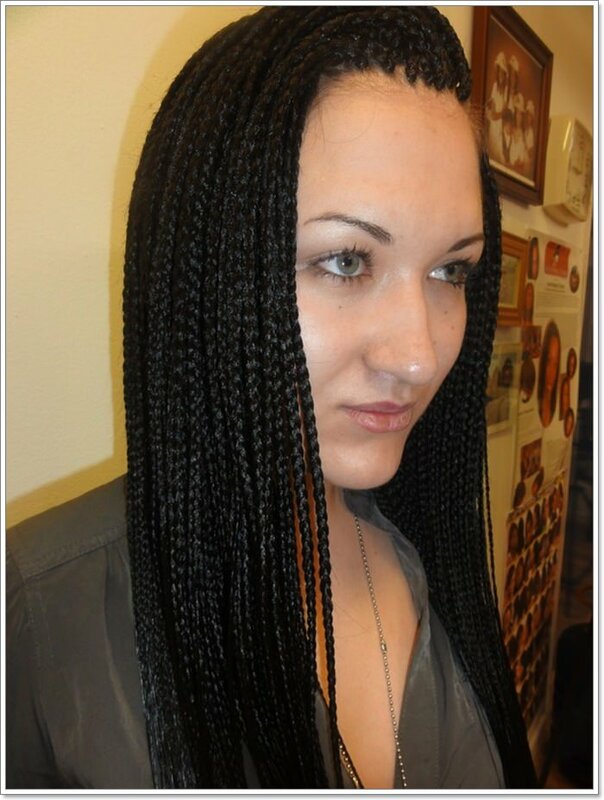 From the choice of color used for the braids to the side shave, each element creates such a classy outlook. The color is electrifying and makes the entire style to pop with the shaved part, creating an ideal place to pin it up. 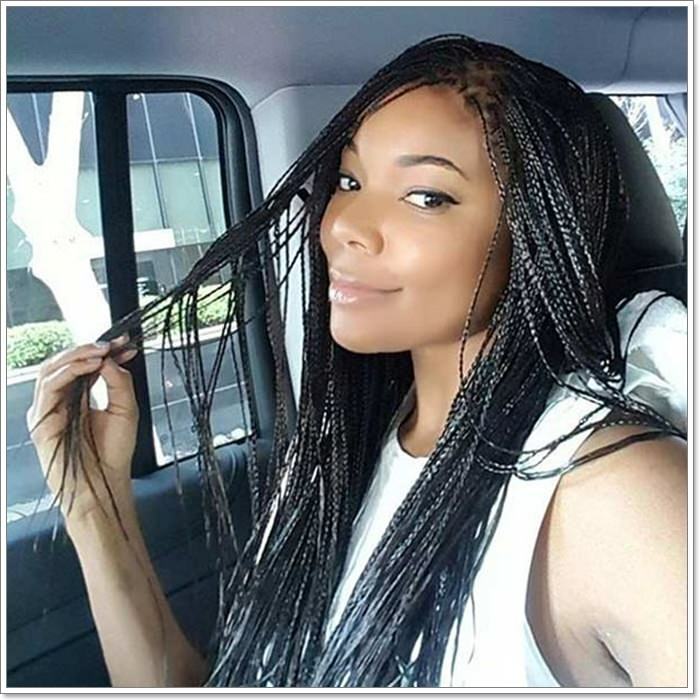 The combination of feed-in braids and micro braids creates such a magnificent outlook. The curly layers of the hair look spectacular and create such an adorable outlook. The styling used also enhances the facial features in a way that’s quite eye-catching and adorable. 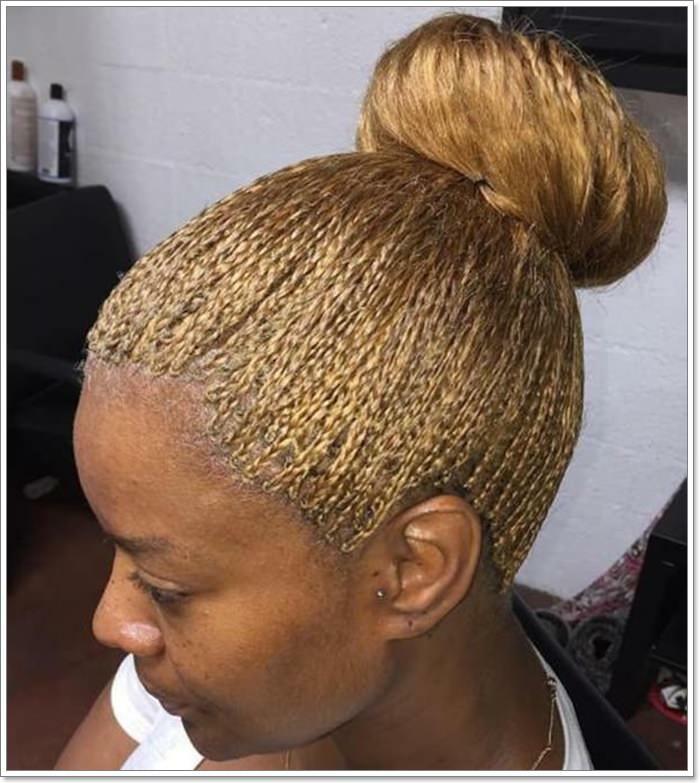 This braiding style looks complex when viewed from outside however one can still achieve the same outlook by braiding the sides all round using hair extensions. The inner hair can then be done without using extensions as that shortens the time that can be spent in having the style fixed. 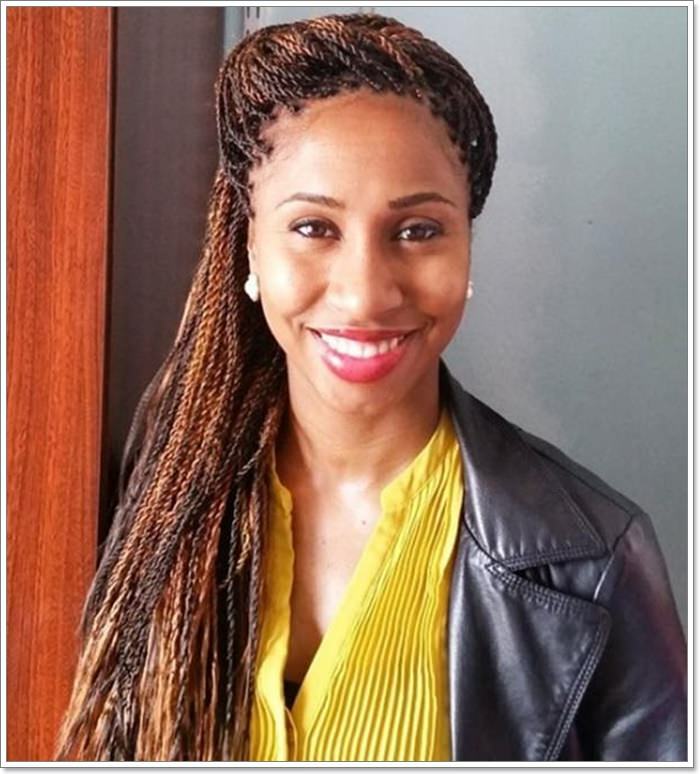 Combining plain hair with micro braids is another way of adorning braids. The side styling adds some feminine feeling to the style and is also quite eye-catching. Having your front hair unbraided helps with keeping braids off the face as that can also be very irritating. When it comes to braiding your hair, there are no specific rules that must be followed. Everyone is free to style there own micro braids in a way that seems fit for them. The style below looks simple yet so beautifully done. The highlights also make the hairstyle to pop in such a nice way. The complexity of the styling is one thing that makes the hairstyle to look quite adorable and magnificent. The hair is quite voluminous with the braided strands nicely joined in place. 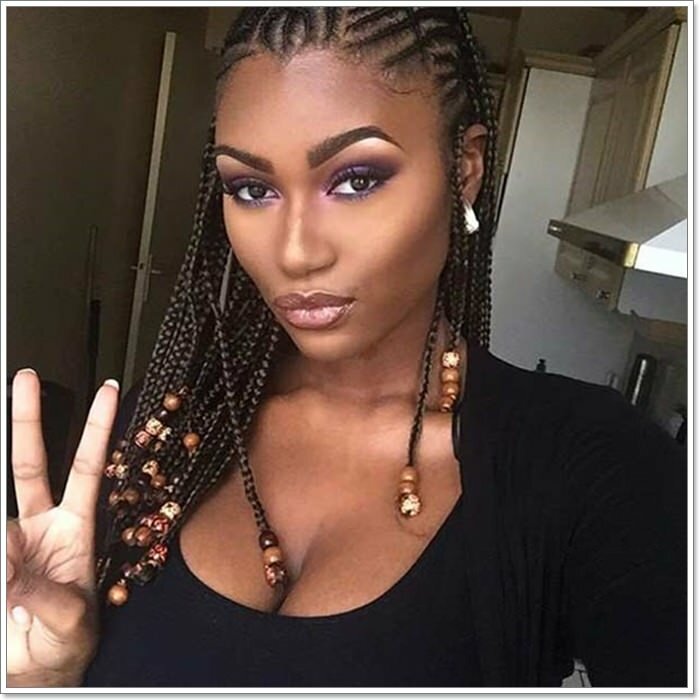 If you settle for a style like the one below then you should consider spending time in exposing the braids to fresh air. Remember to also moisturize your hair using a spray in order to maintain the glowing outlook. 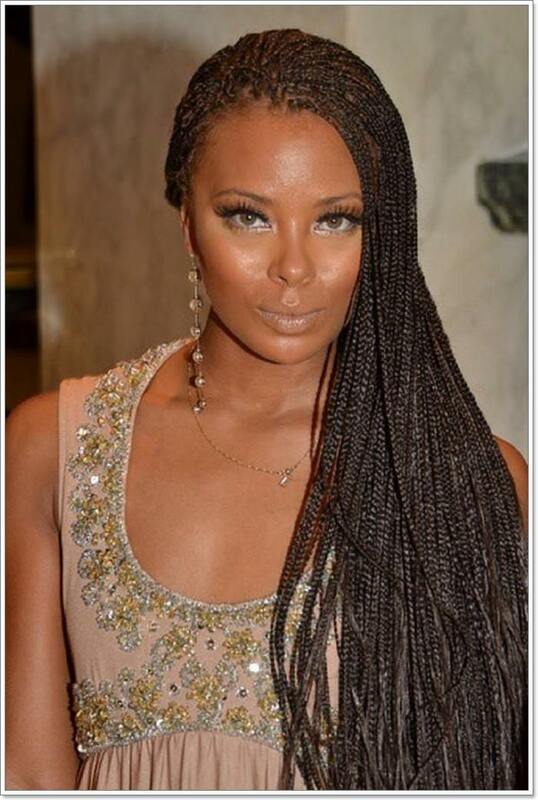 Micro braids have risen in popularity mostly because of the celebrities. 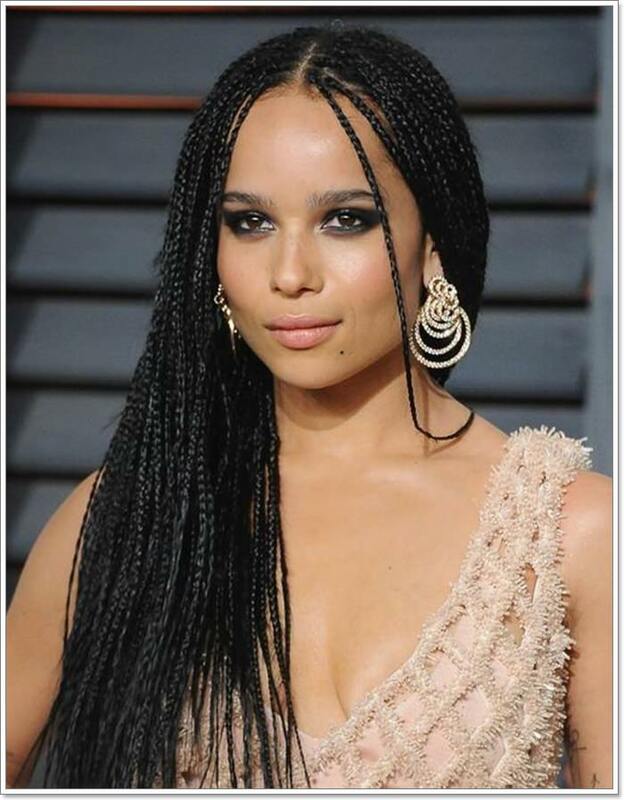 A number of celebrities have identified with braiding and that has set a great trend for the masses to follow. The styling used is the key thing that makes the braids to stand out. Color choice is a key element that also enhances the overall outlook of the braids. 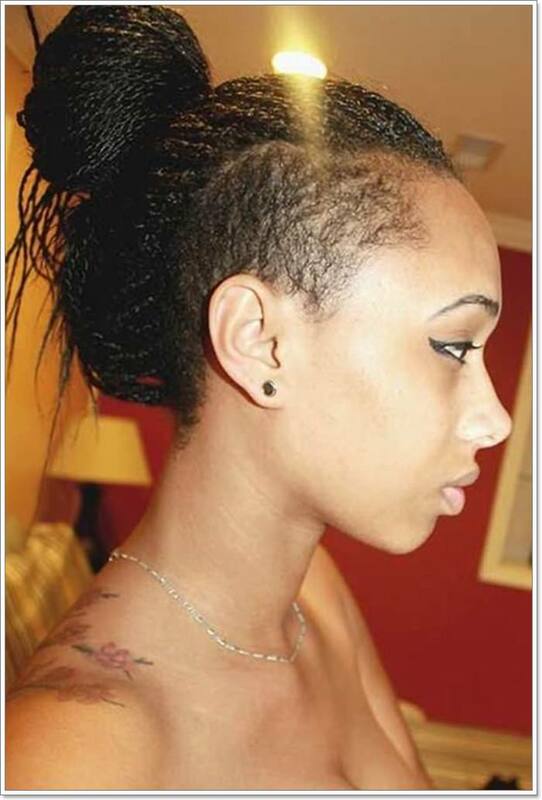 Wearing micro braids with partly braided shaved hair makes the hairstyle to really stand out. The bright color used blends perfectly well with the dominant dark colors used. The styling is also done in a way that enhances the facial features of the wearer in such a magnificent way. An adorable hairstyle that’s suitable for diverse occasions. Such a cute hairstyle with the hat adding to the intricacy and elegance of the style. 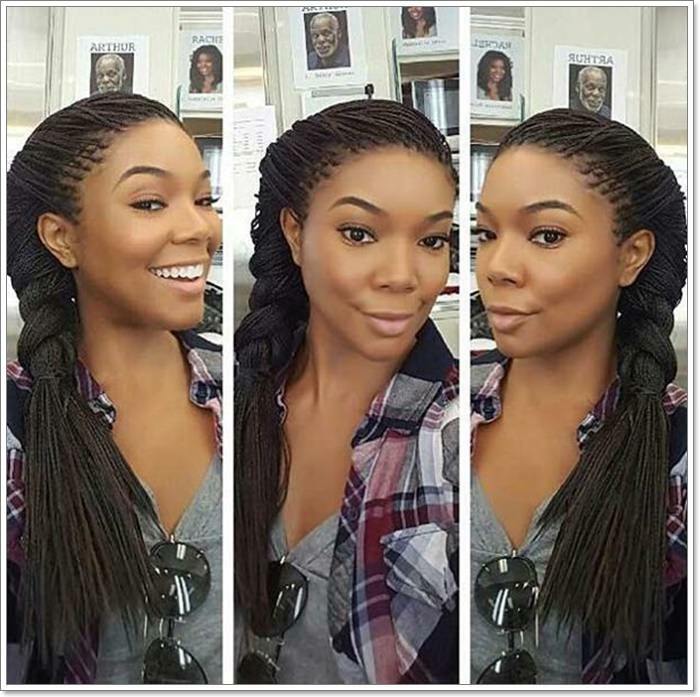 The micro braids look adorable and nicely styled with the layers of hair expressing an effortless look. The style below is ideal for both casual and formal occasions however it looks more ideal for a casual event. Such a head-turning and magnificently styled micro braids. The combination of black and brown color create such an outstanding outlook and makes the entire style to really pop. Elements such as bobby pins can be used for styling the hair and holding the braids in place. Braids are also preferred styles for summer as they are more relaxed and ideal for casual settings. 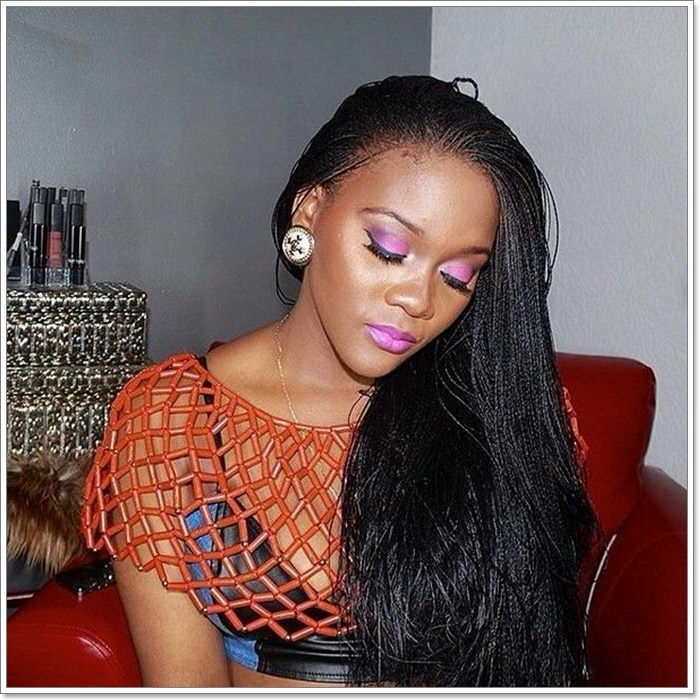 The micro braids hairstyle below looks spectacular and reflects beautifully on the wearer. The color used makes the style to glow beautifully with the strands of purple color enhancing the style’s visual appeal. Once you have fixed the micro braids, you can then try out the styles that you find to be appropriate. You can make it as simple as the one below or even design it into something so intricate and versatile. Just ensure that the style you choose looks cool and reflects well with your facial structure. Very pretty twisted braids that’s beautifully styled and enhances the facial outlook. 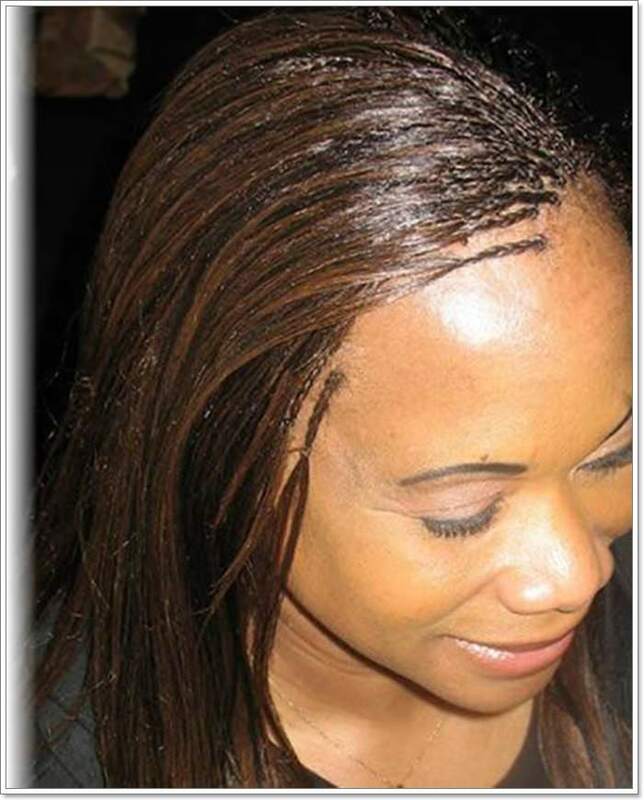 The micro braids are beautifully fixed with the overlapping streaks creating an appealing outlook. The hairstyle also blends with the facial outlook in such a beautiful way. 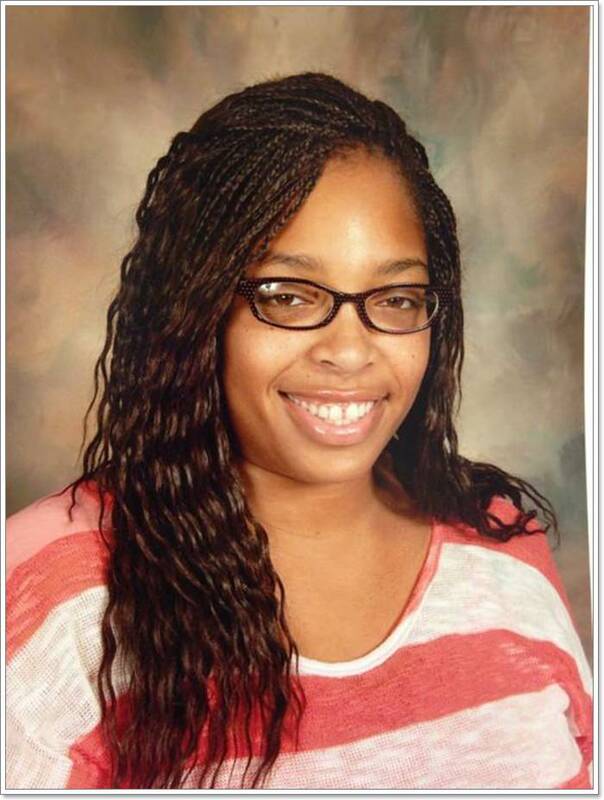 Protecting your braids is key if you want them to last for long. You can cover them with a scarf as you go to sleep or even use headbands to hold them in the place like in the style below. The loose styling of the hair makes the style to be ideal for a casual and relaxed function. 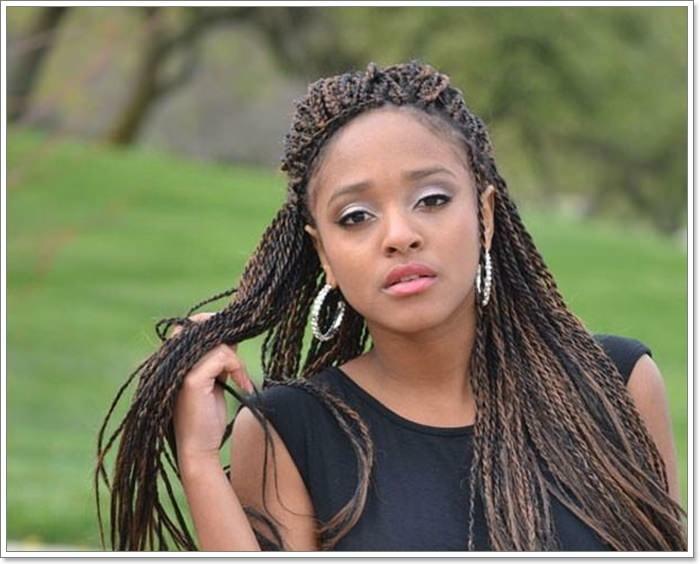 To maintain your braided hair, consider conditioning it so that it can stay moisturized. void using heavy conditioning as that can build up in the hair leading to accumulation of dirt. You should instead use an oil formula or spray as that enables you to target specific places within the hair. The hairstyle below looks glamorous and very beautifully done. The braids are not only sophisticated but also very voluminous which enhances the facial outlook. 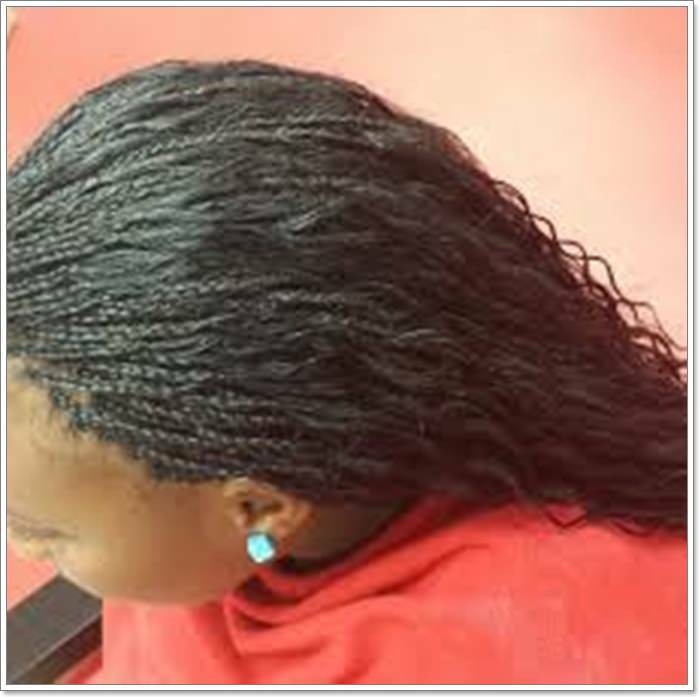 Those who have a busy schedule can greatly benefit from wearing micro braids. Since the braids can last for several months, it’s advisable that you also take time to expose them to fresh air so that your hair may breathe and relax. You can even restyle your hair differently for a more appealing outlook. 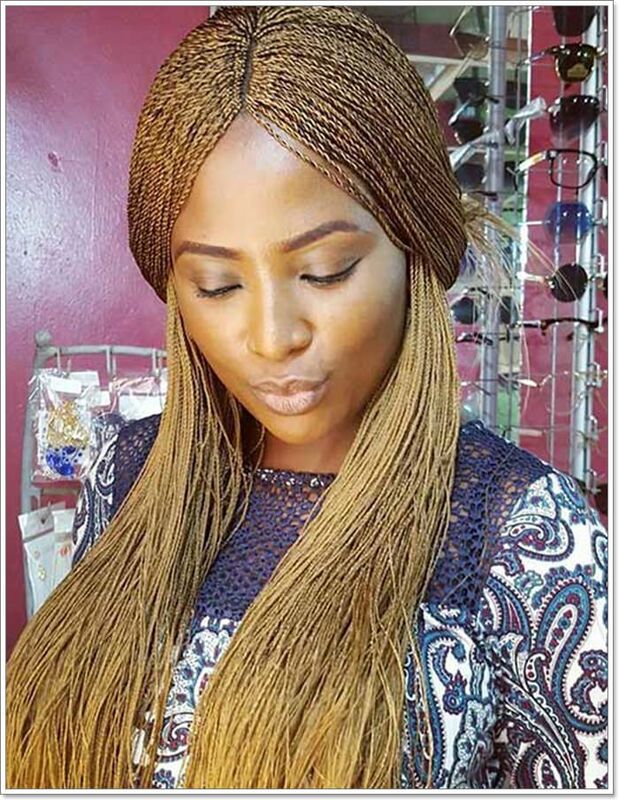 Micro braiding is not suitable for all types of hair, weak and thin hair may not look good with braids and may end up being damaged in the process. The quality of the hair should be looked into before braiding the hair or else it may lead to breakage and loss of hair. The braided hairstyle below looks sophisticated with the braids looking so tiny and beautifully fixed.